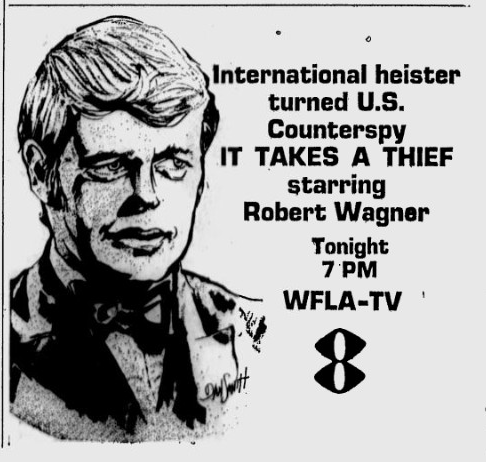 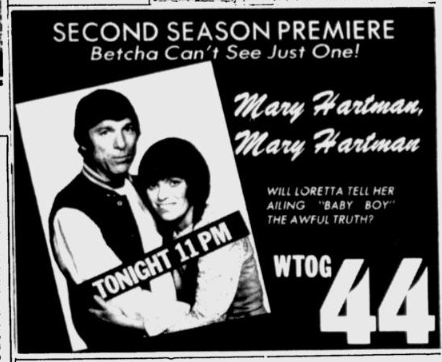 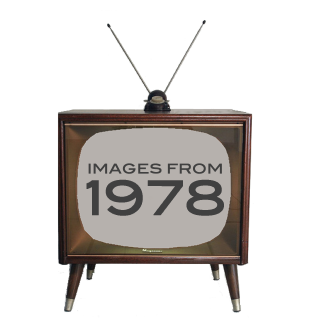 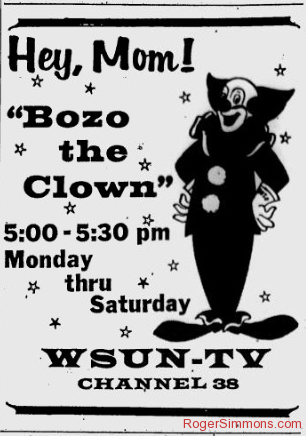 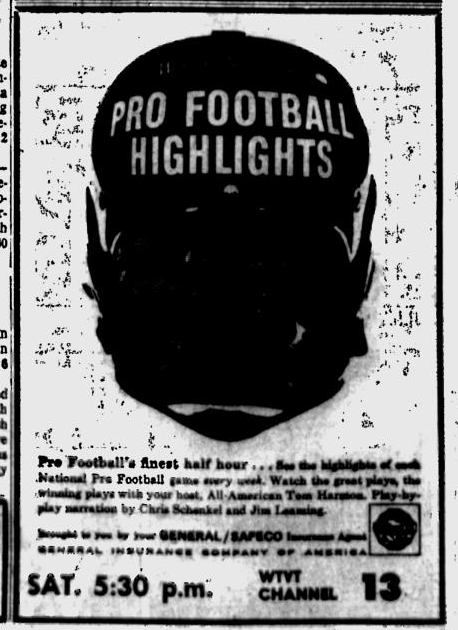 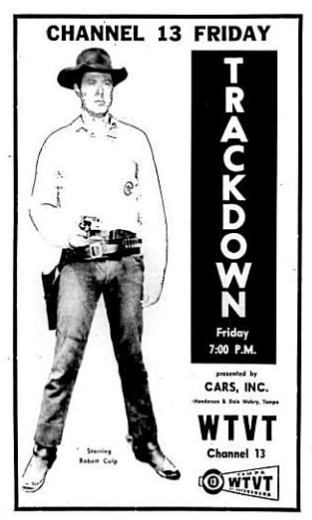 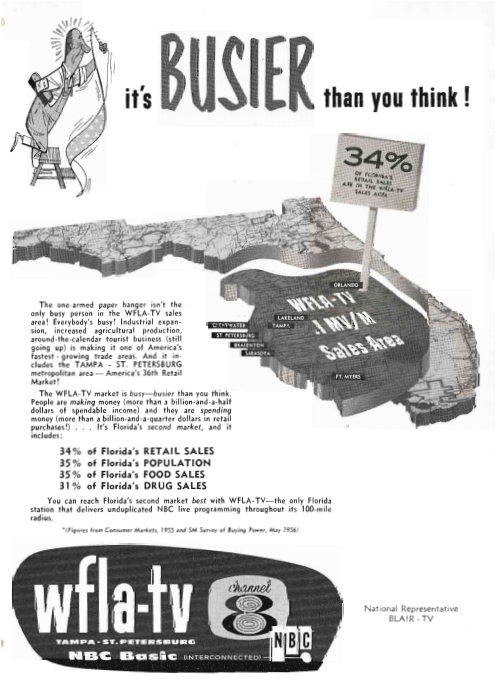 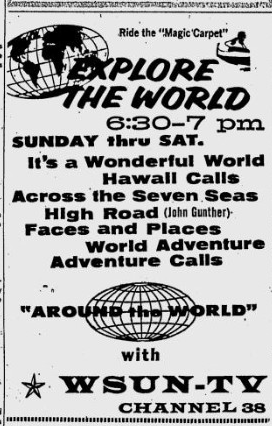 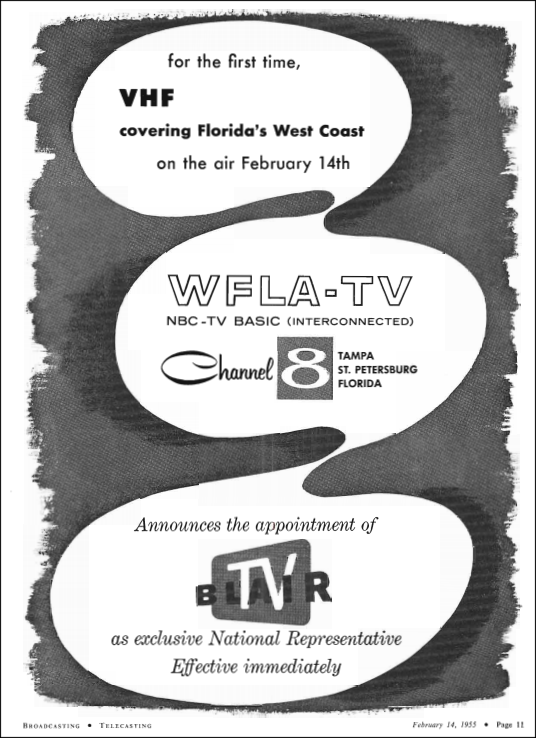 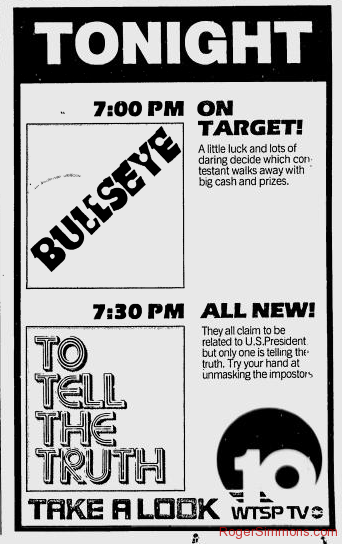 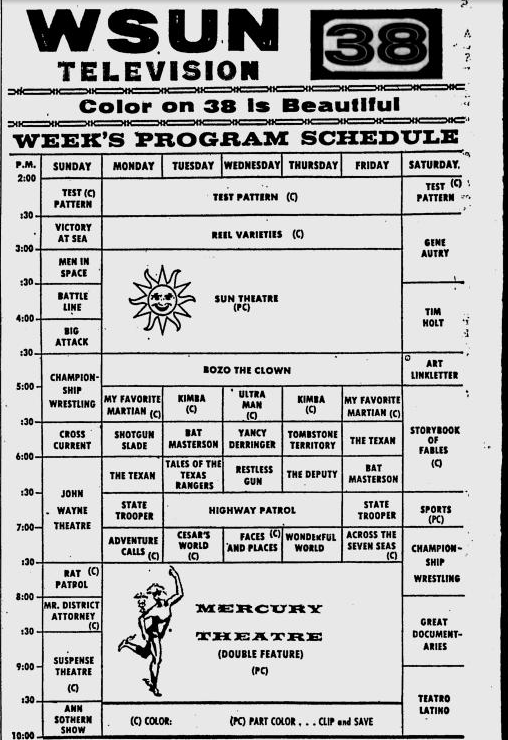 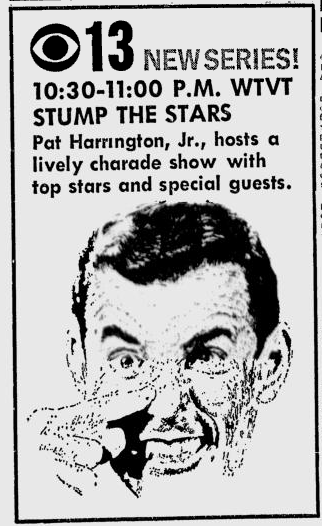 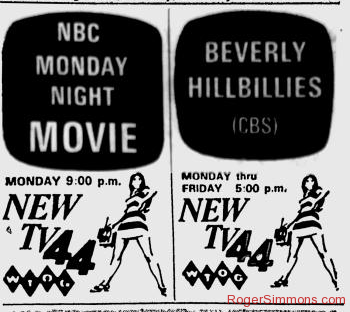 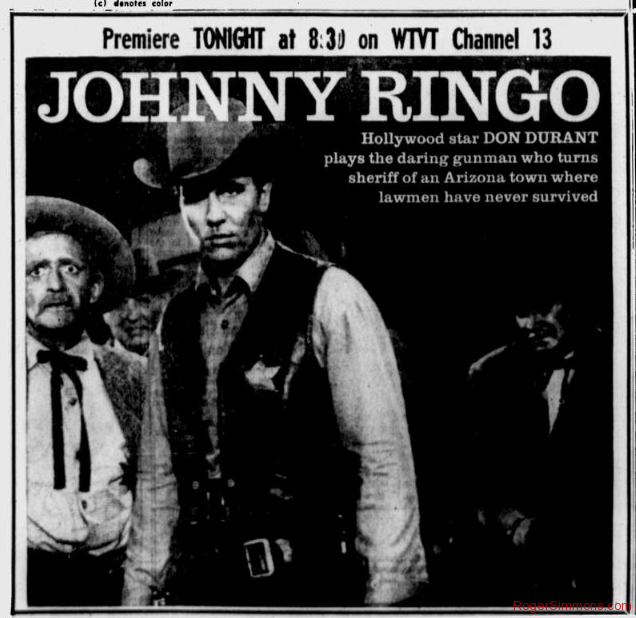 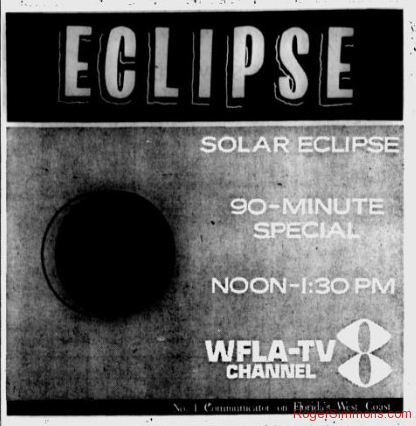 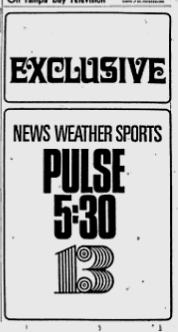 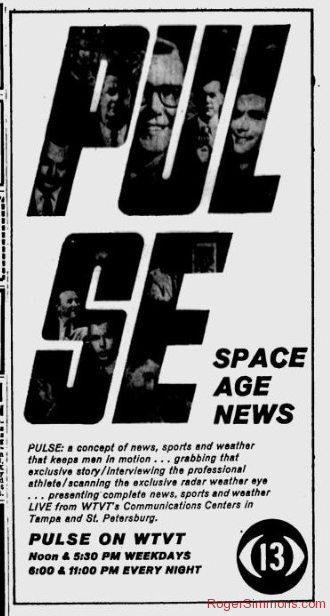 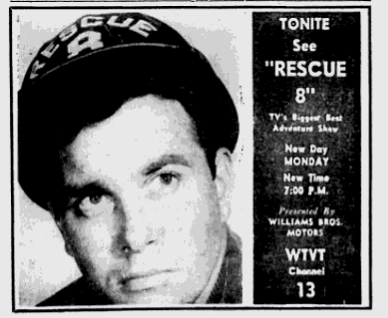 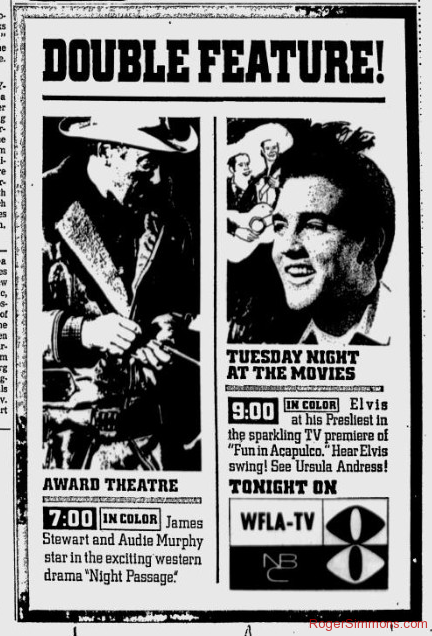 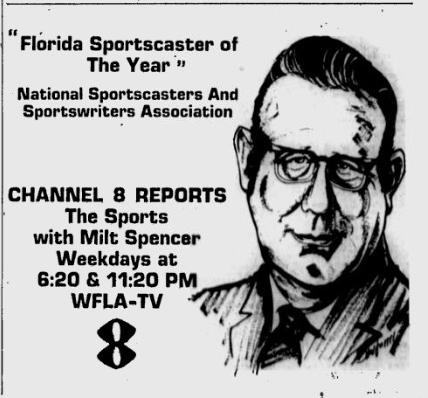 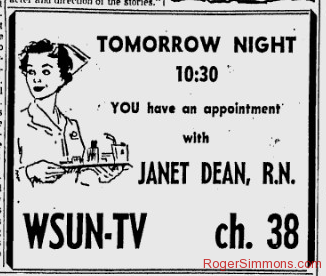 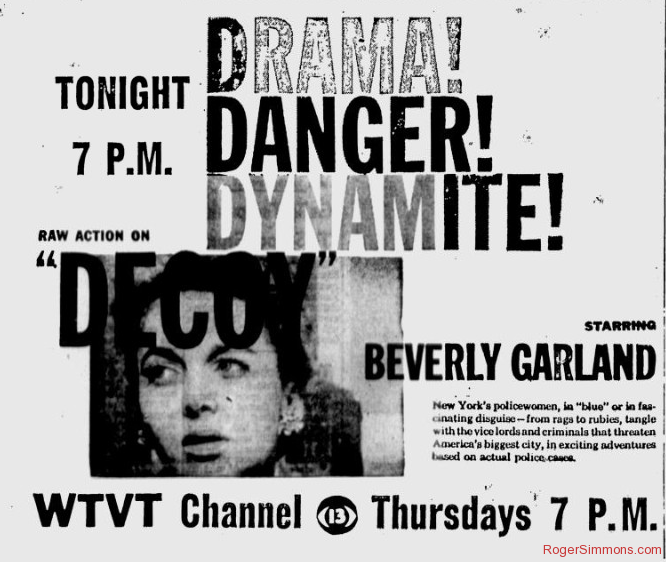 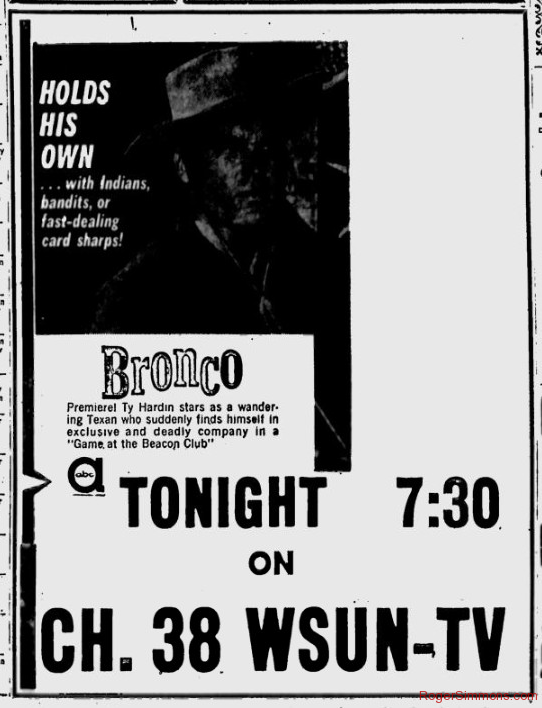 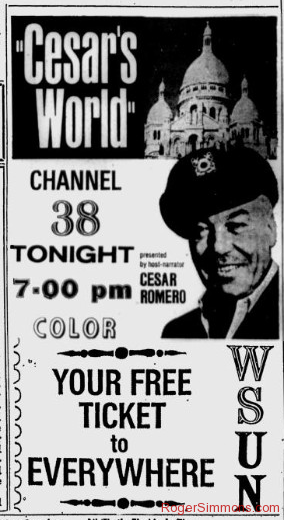 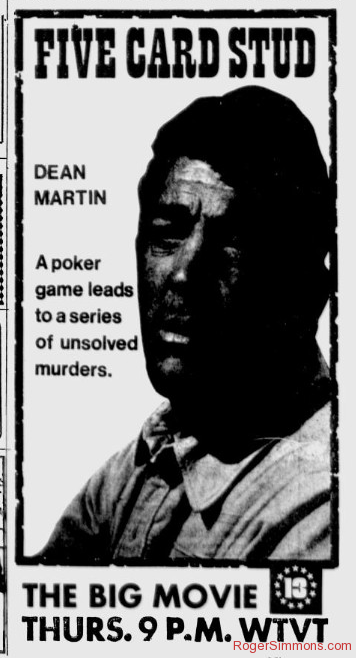 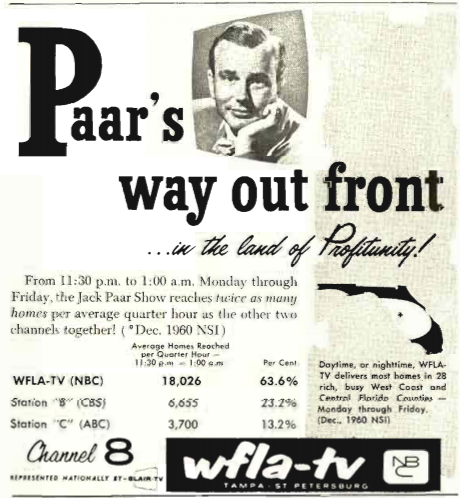 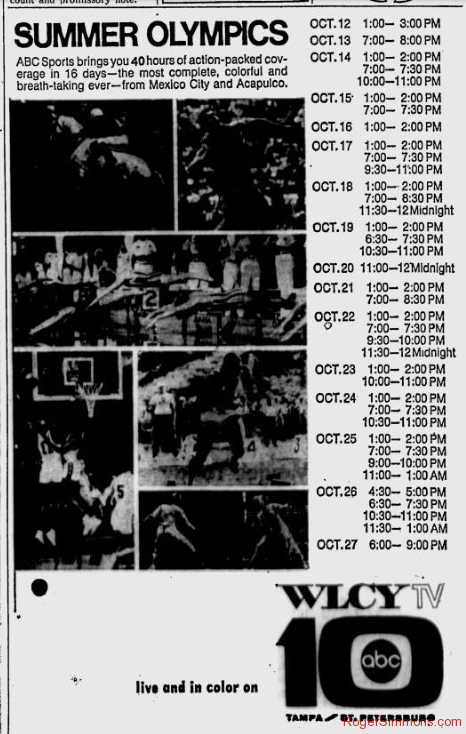 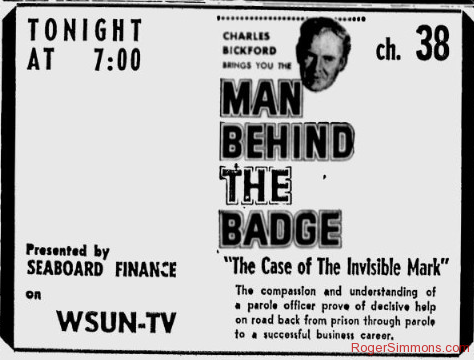 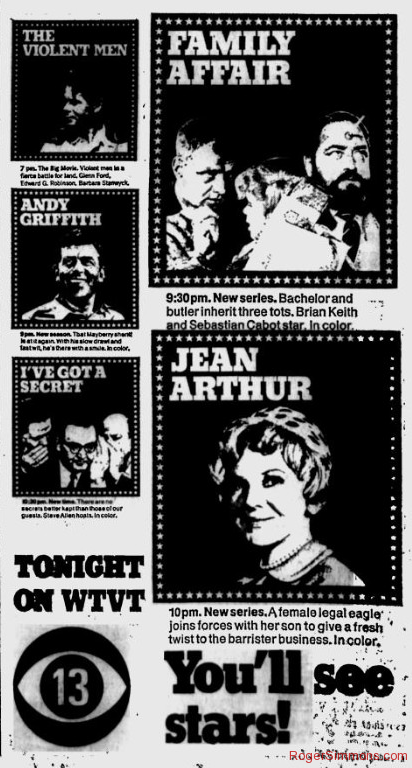 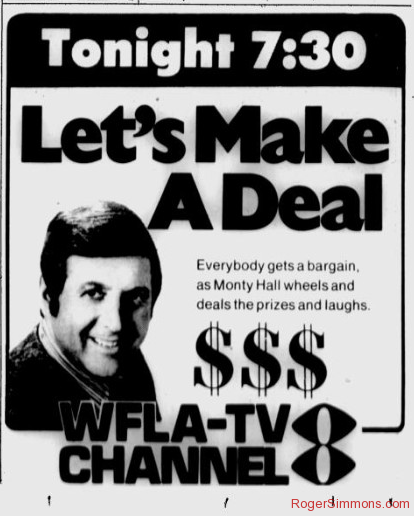 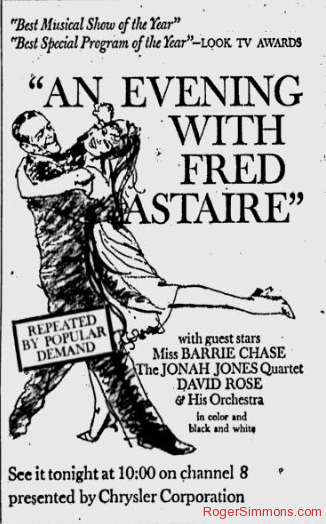 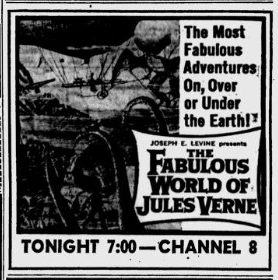 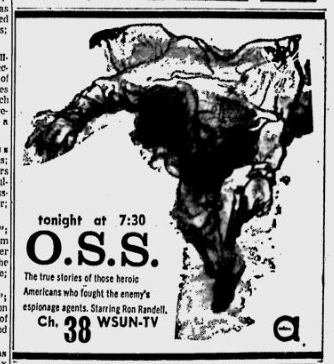 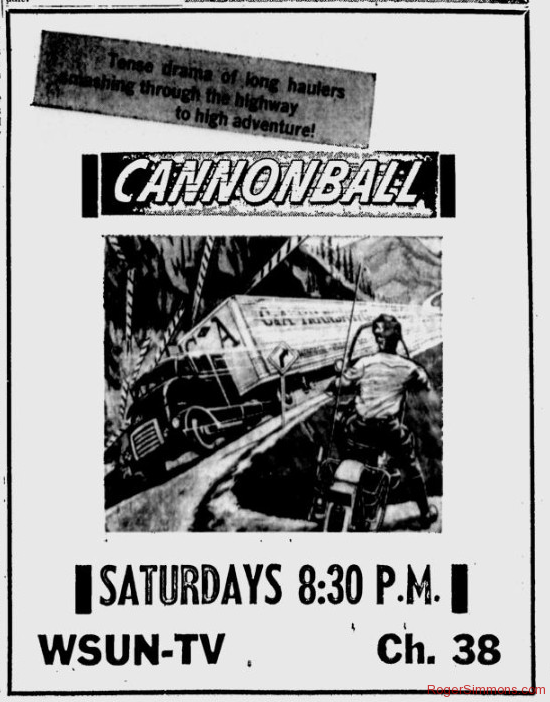 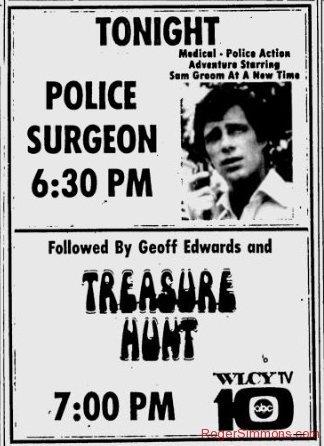 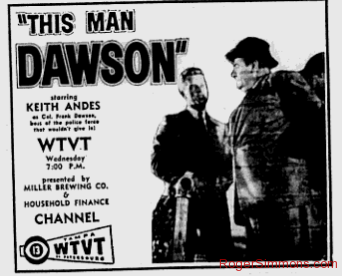 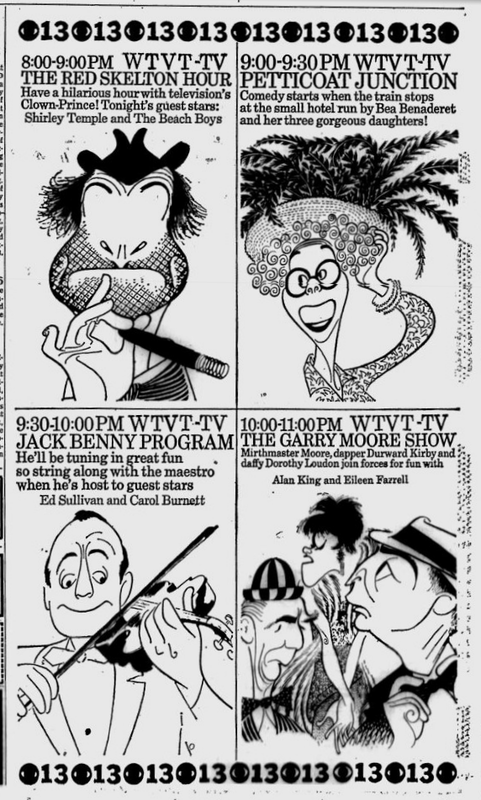 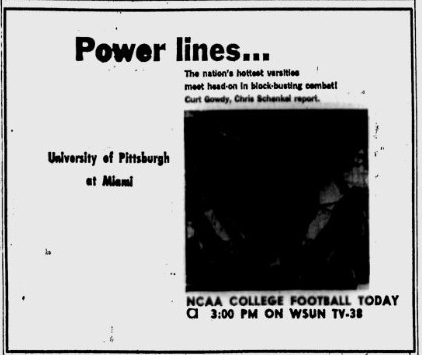 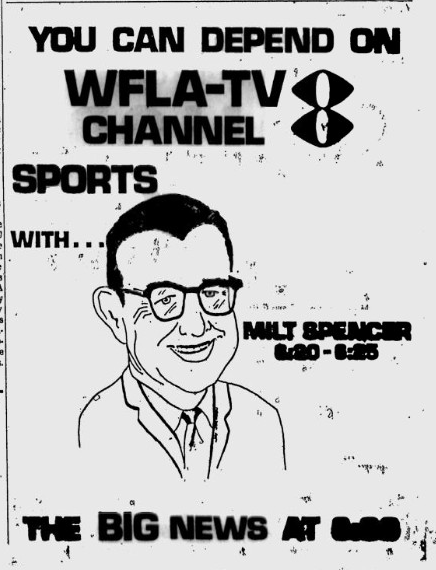 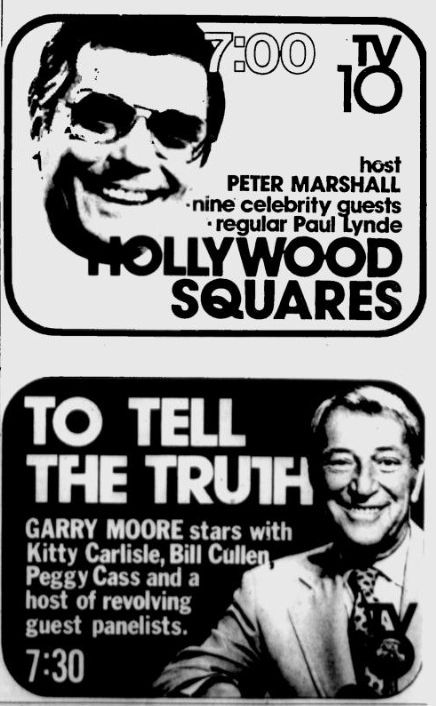 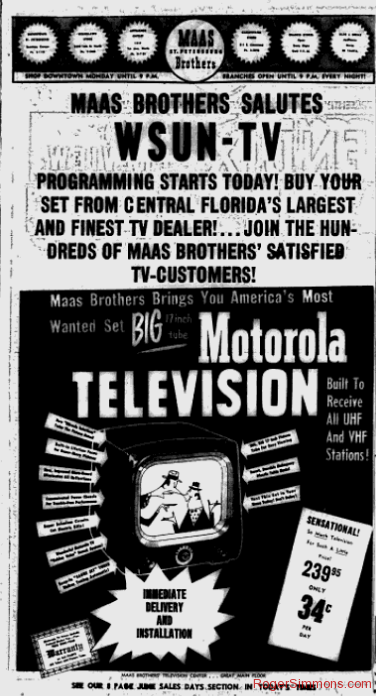 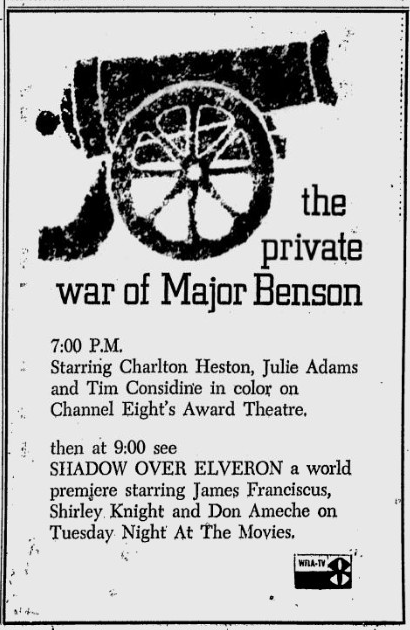 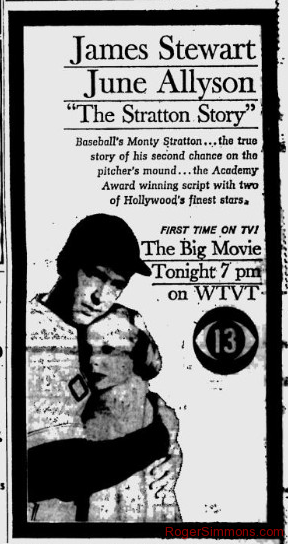 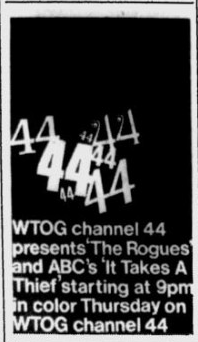 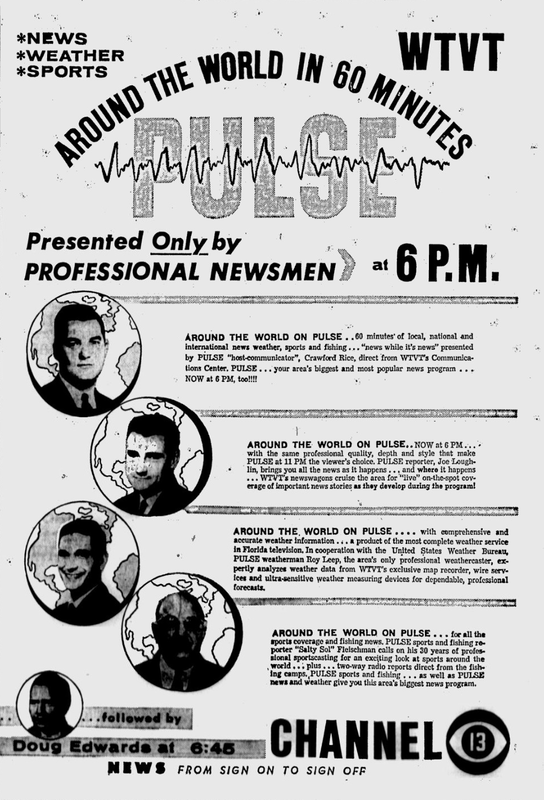 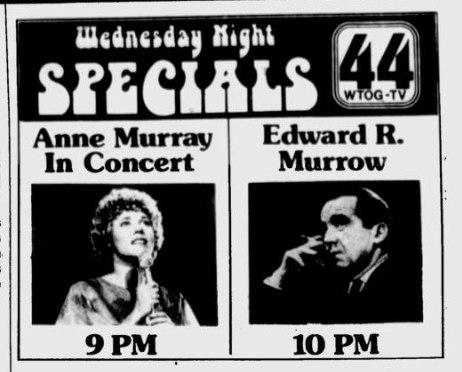 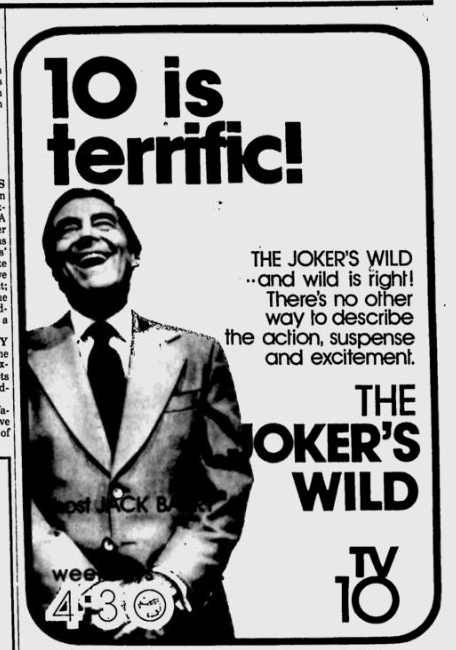 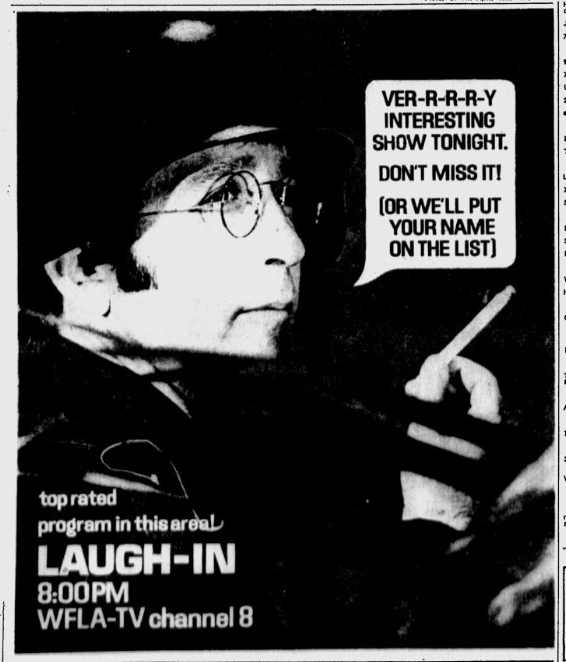 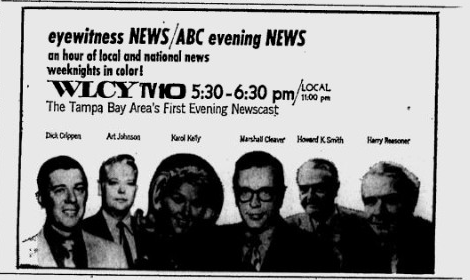 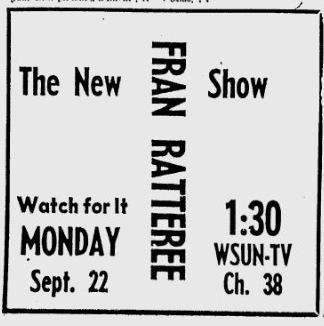 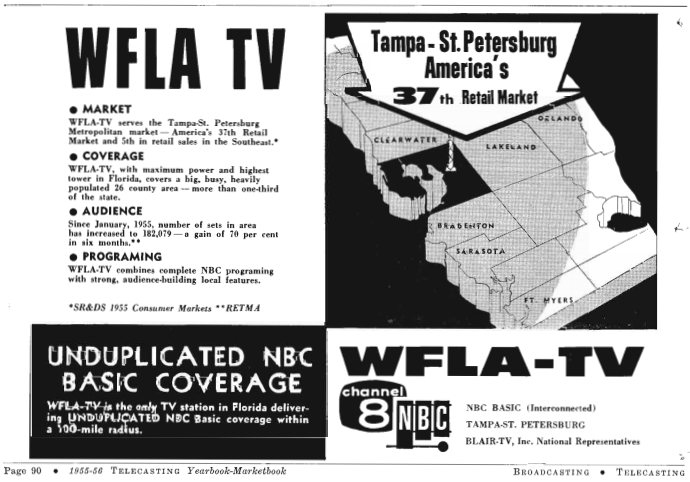 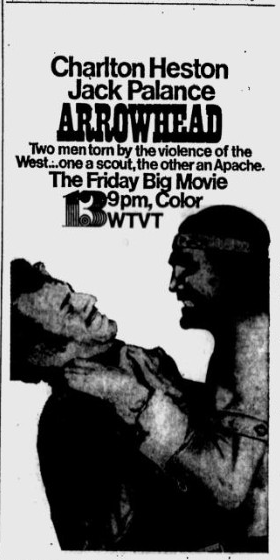 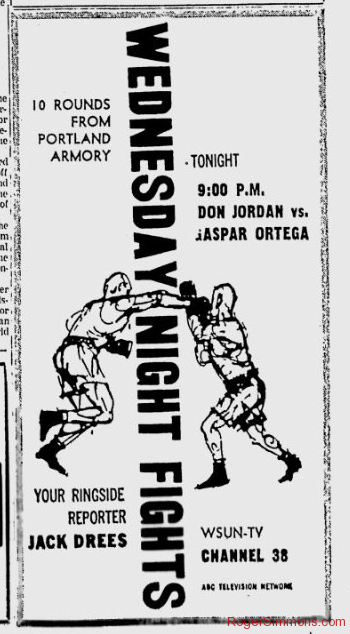 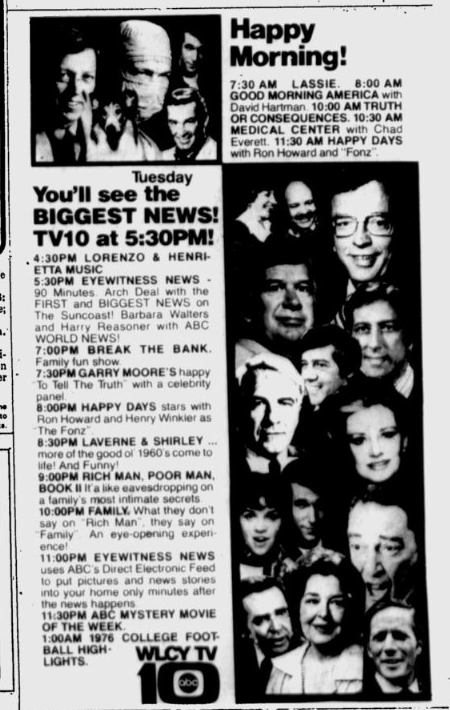 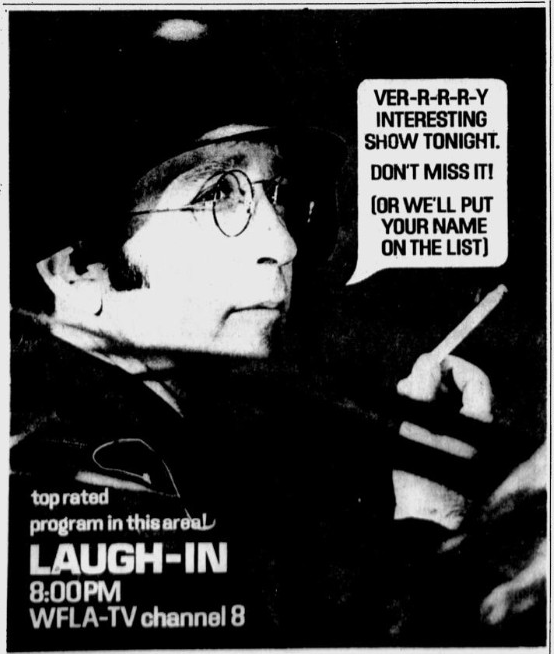 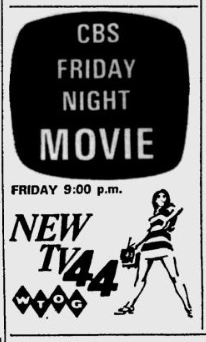 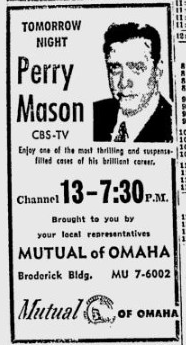 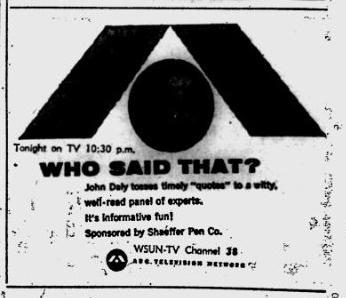 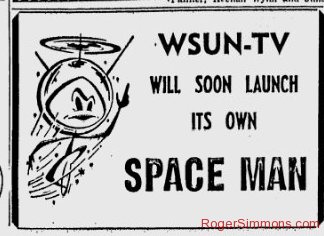 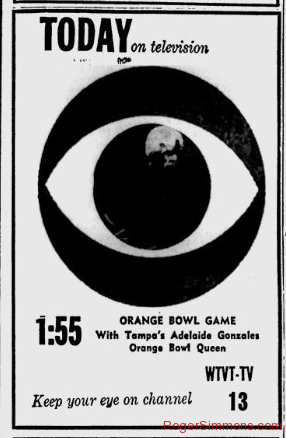 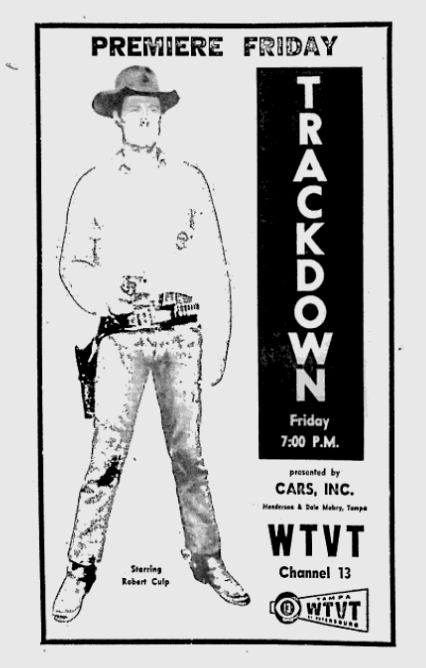 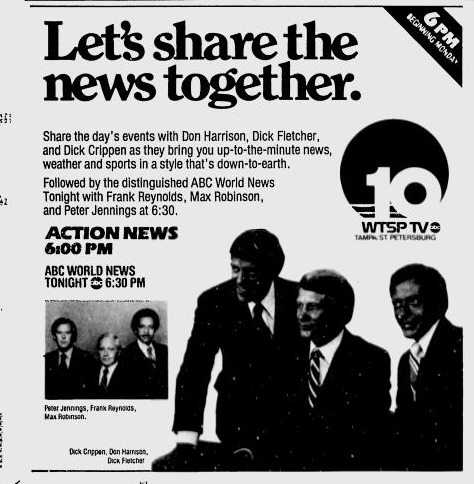 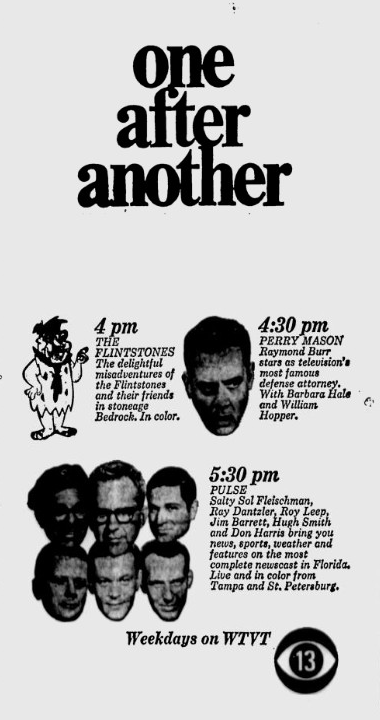 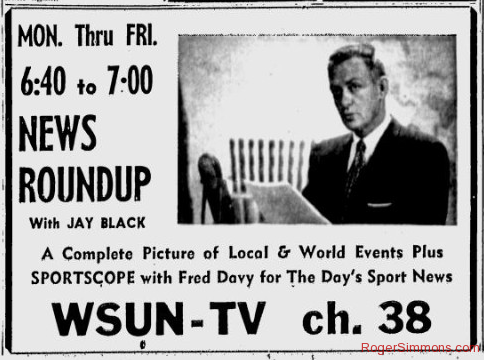 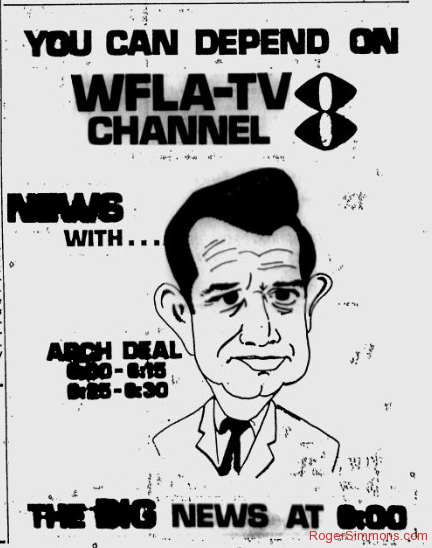 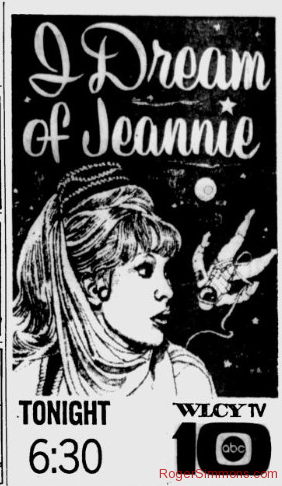 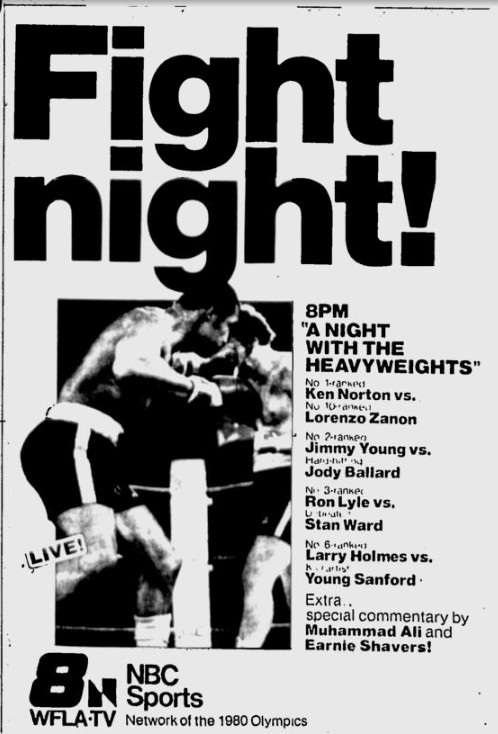 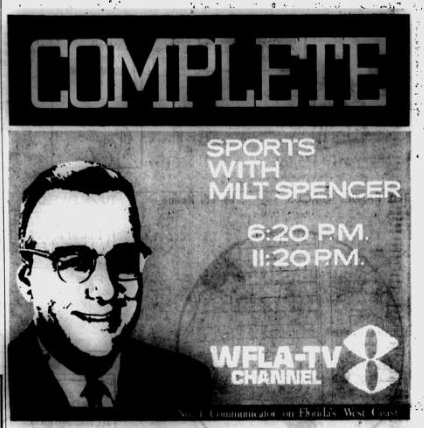 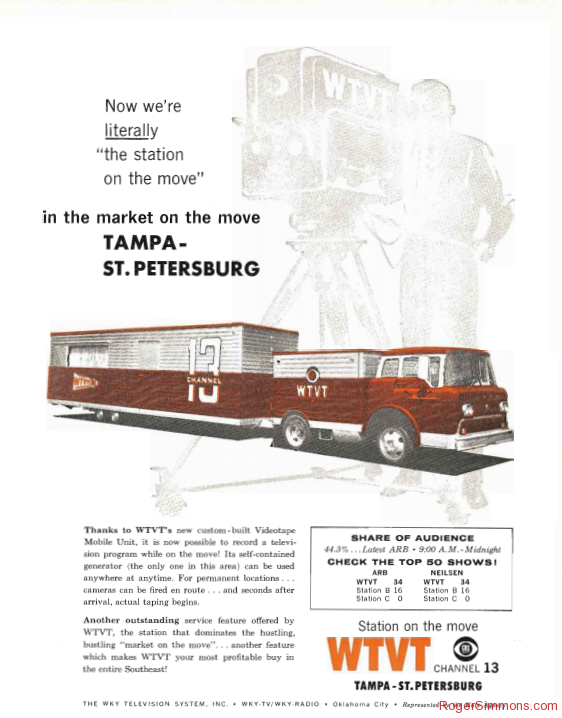 The Tampa area described itself as the last major market without a TV station when WSUN-TV arrived. 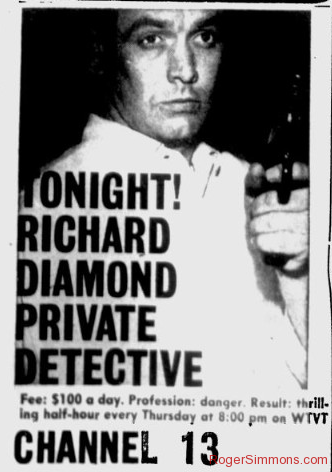 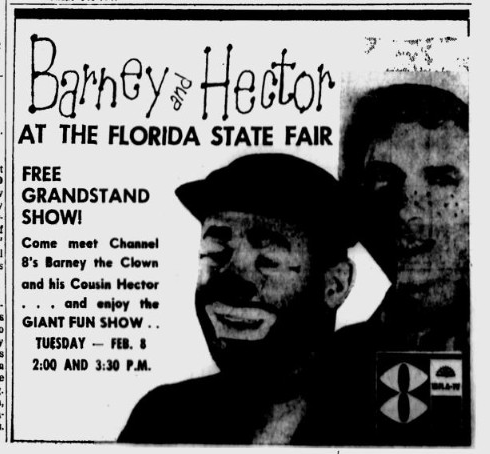 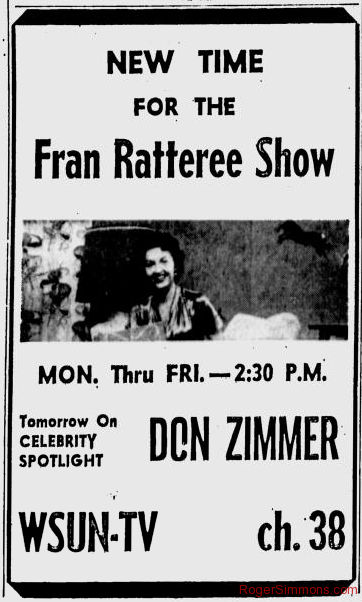 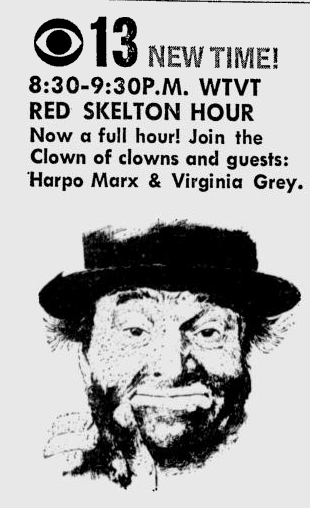 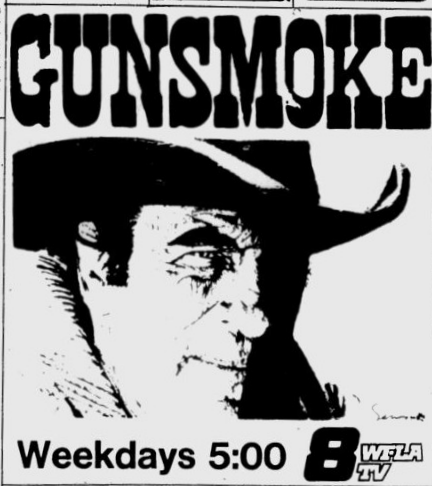 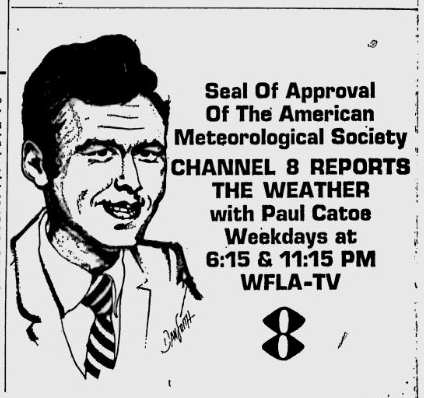 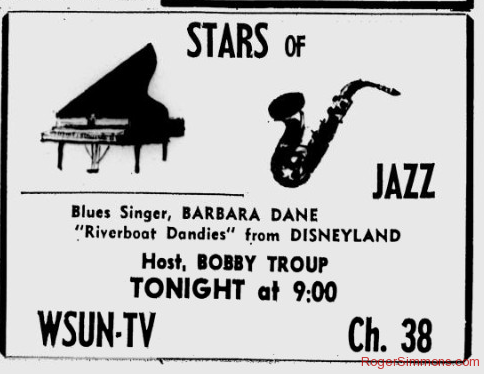 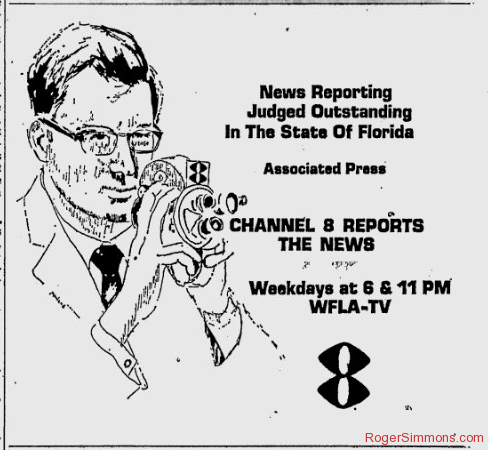 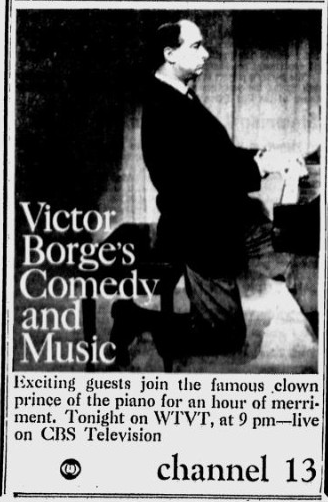 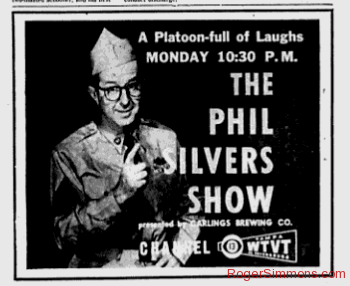 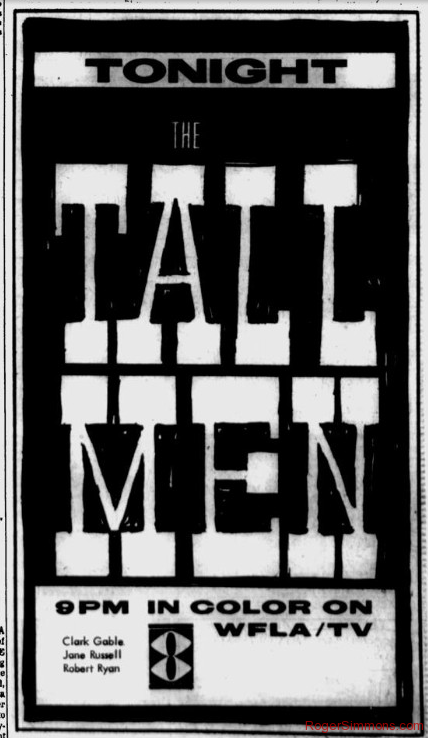 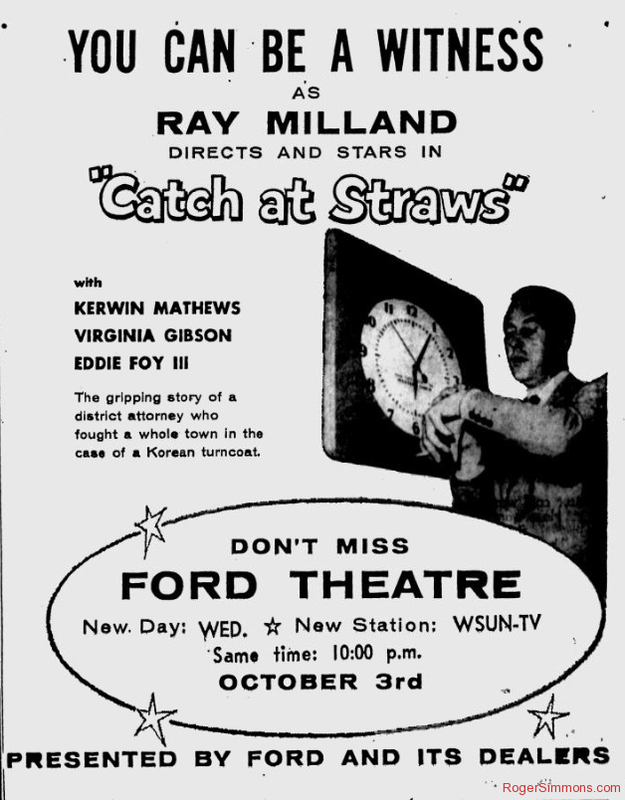 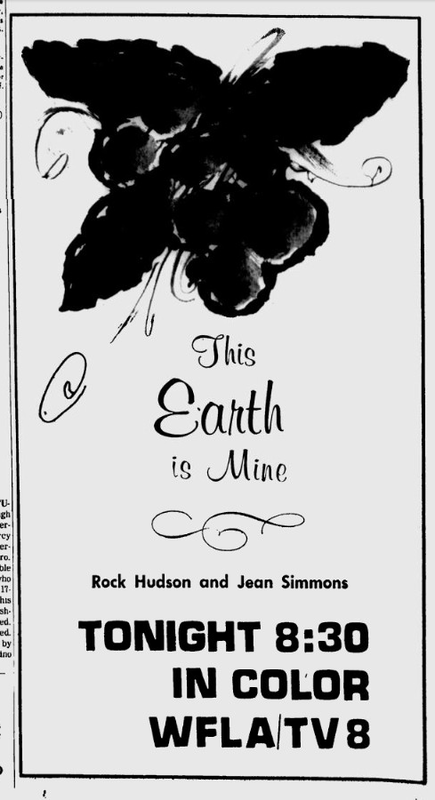 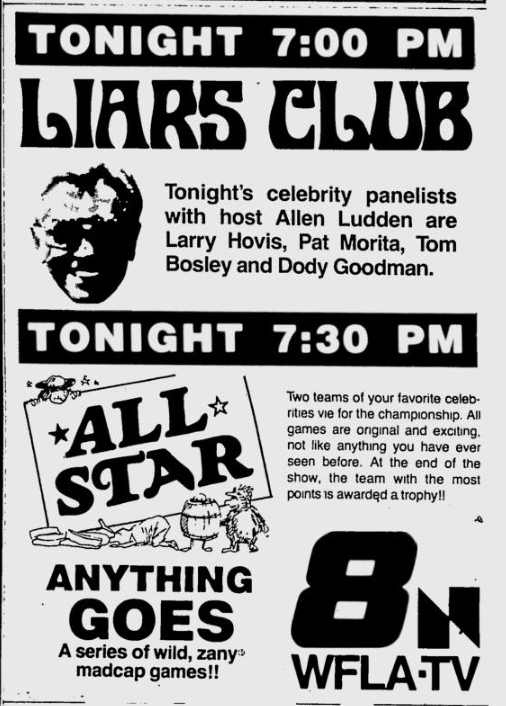 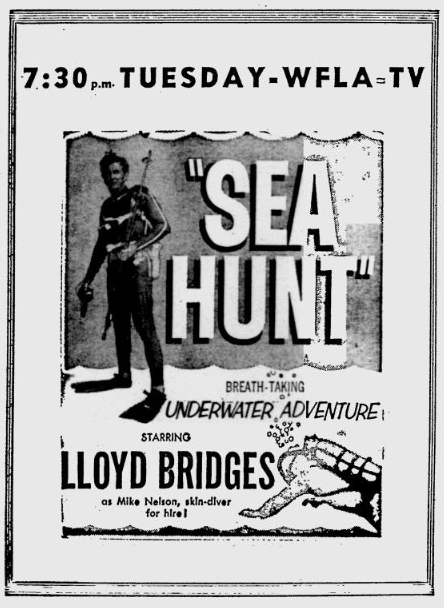 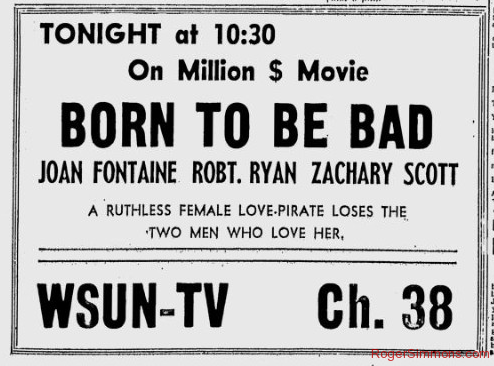 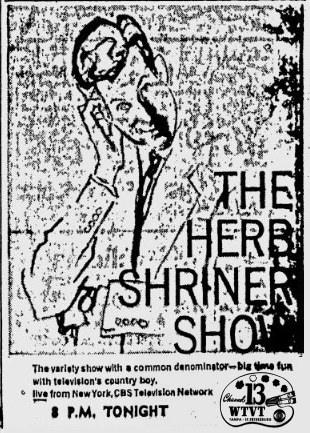 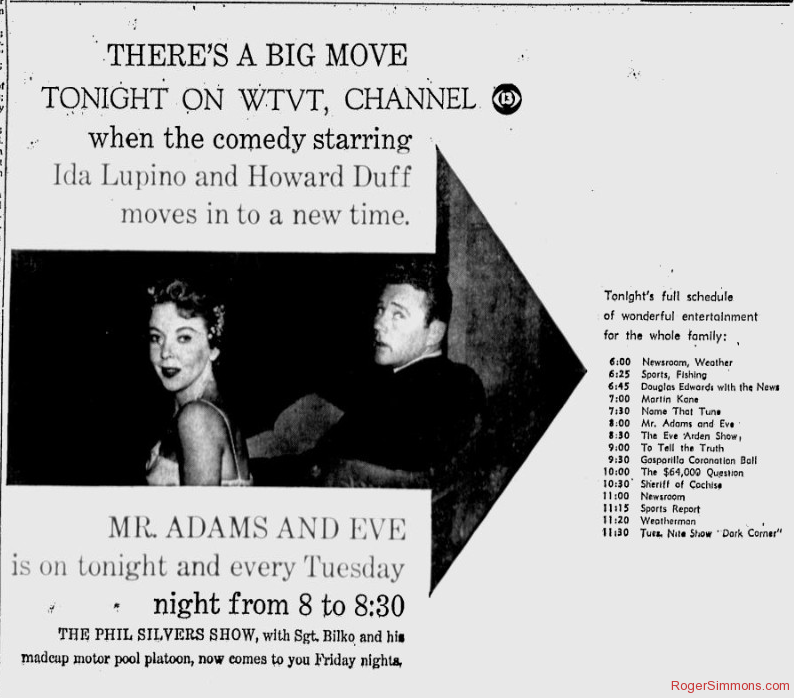 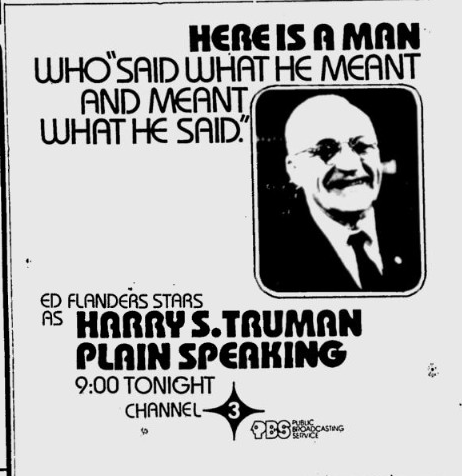 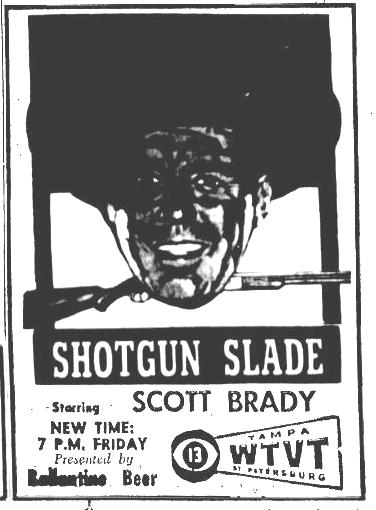 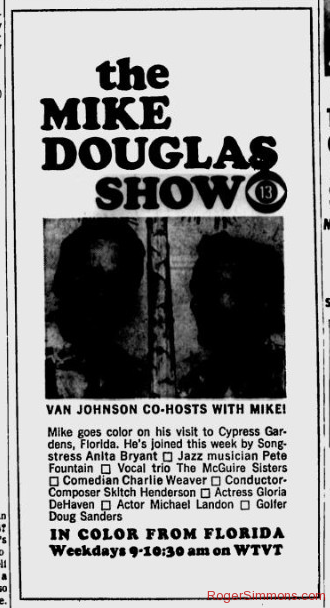 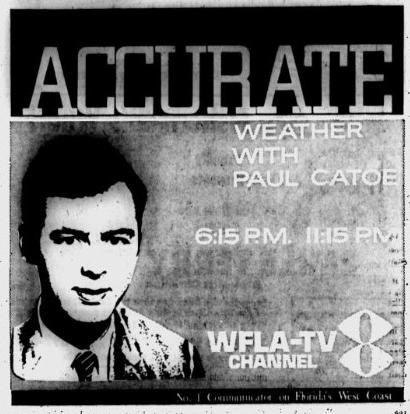 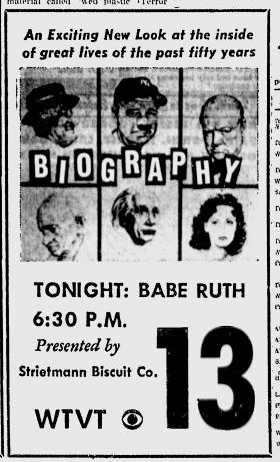 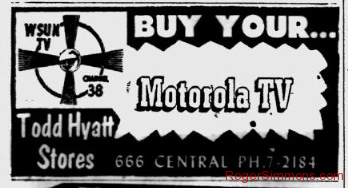 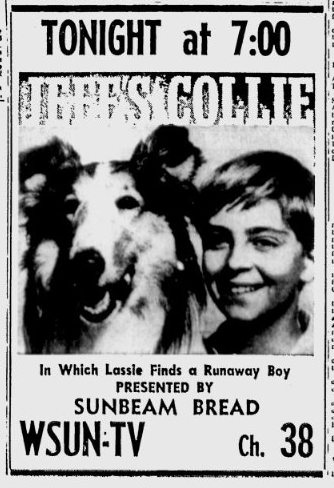 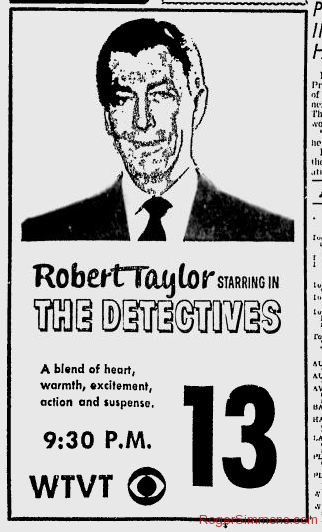 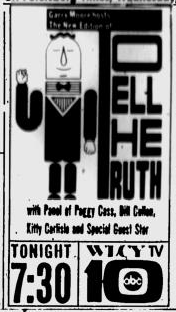 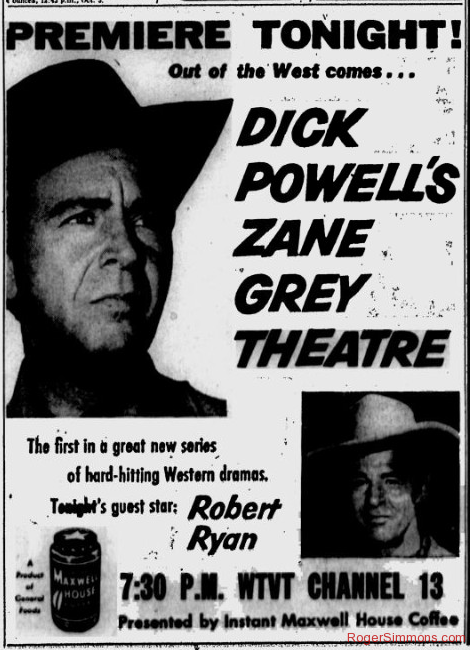 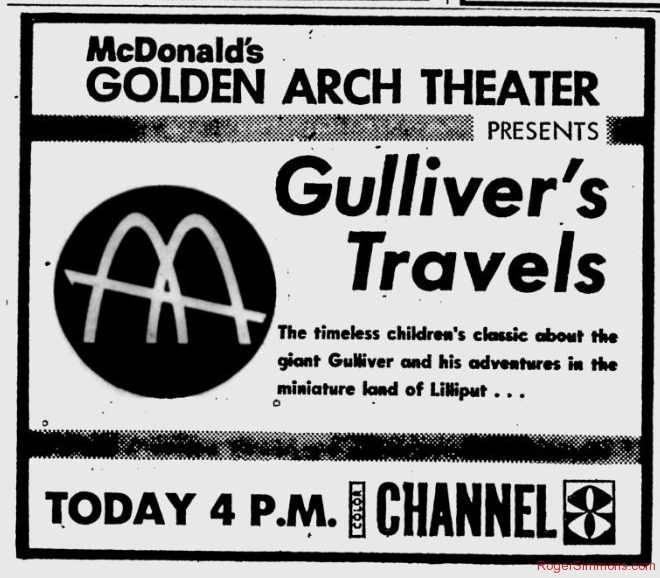 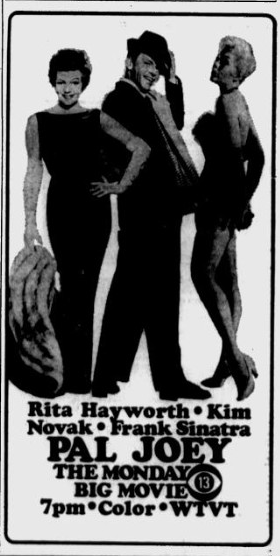 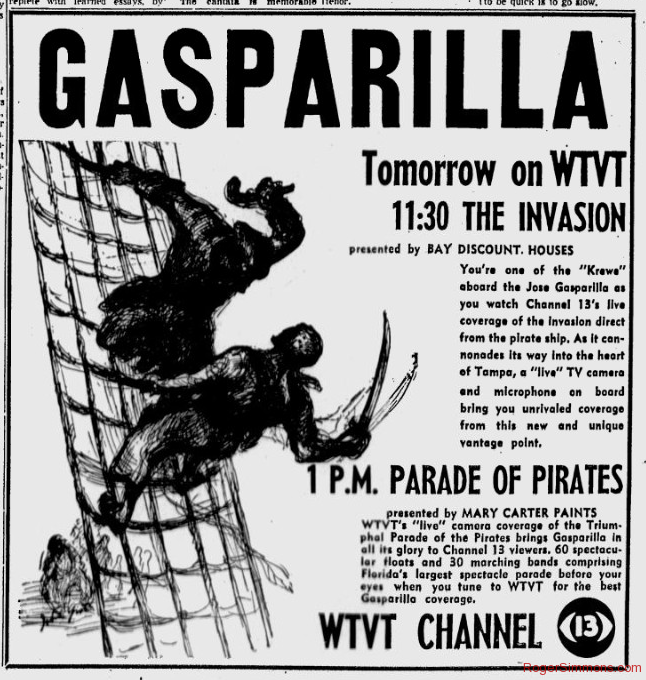 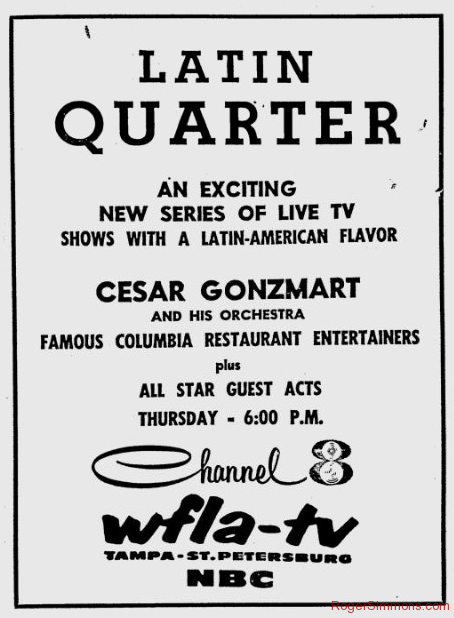 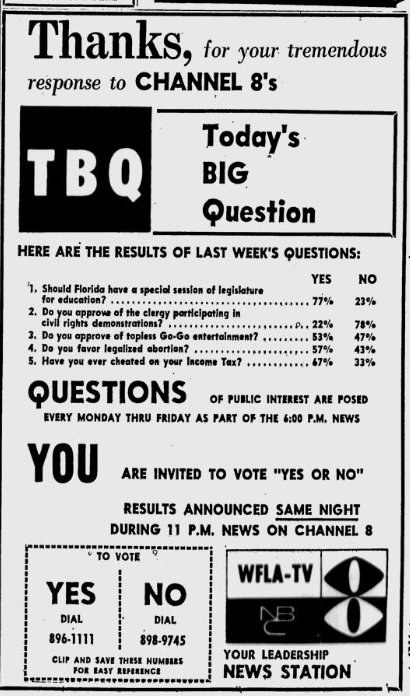 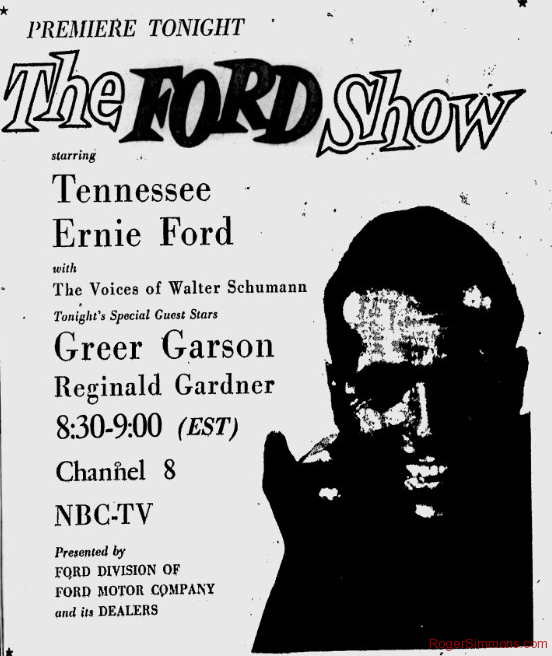 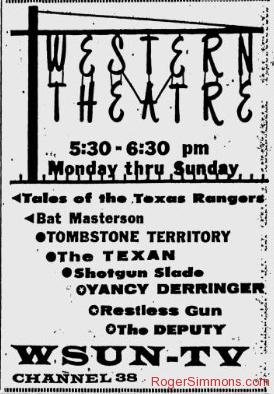 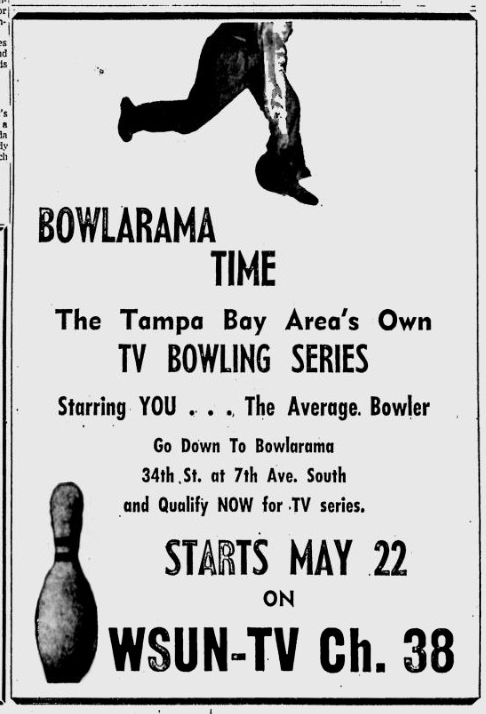 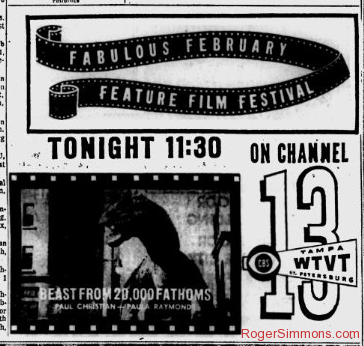 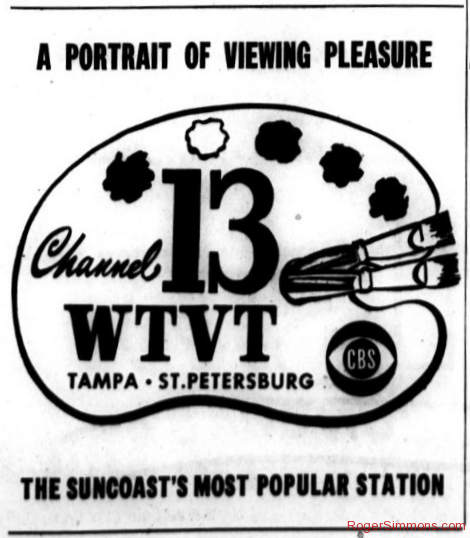 There were a lot of unusual things associated with the first TV station in the Tampa area. 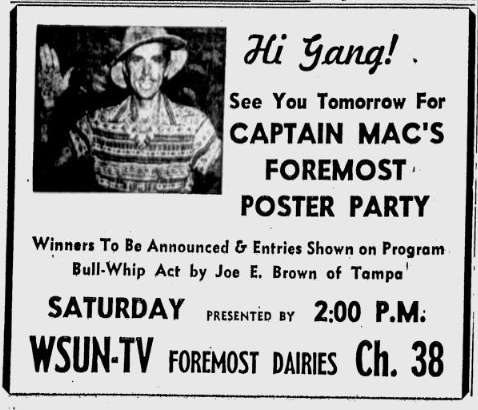 First, it wasn’t even in Tampa. 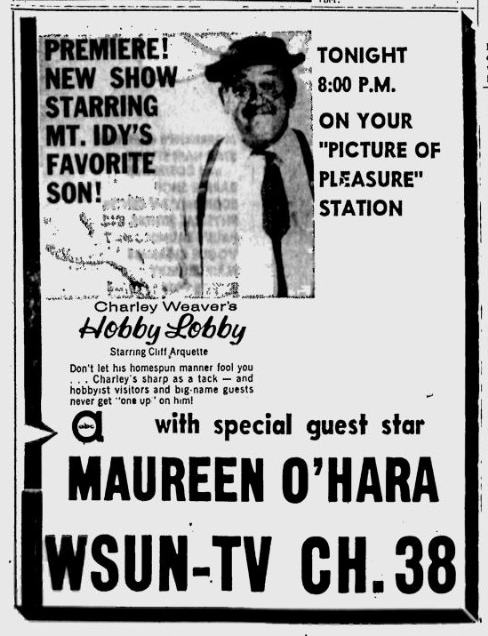 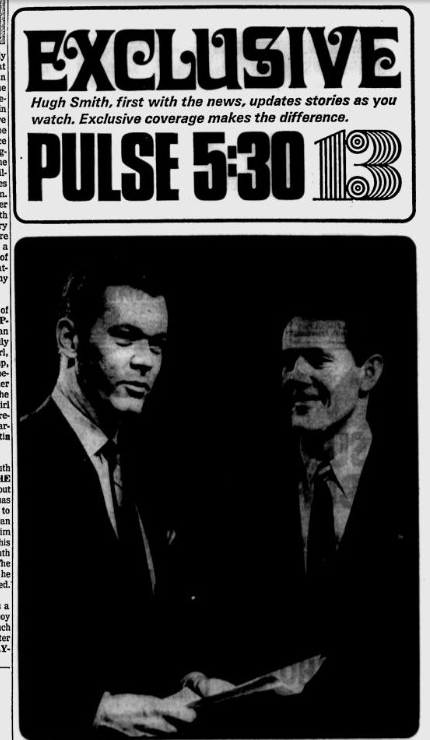 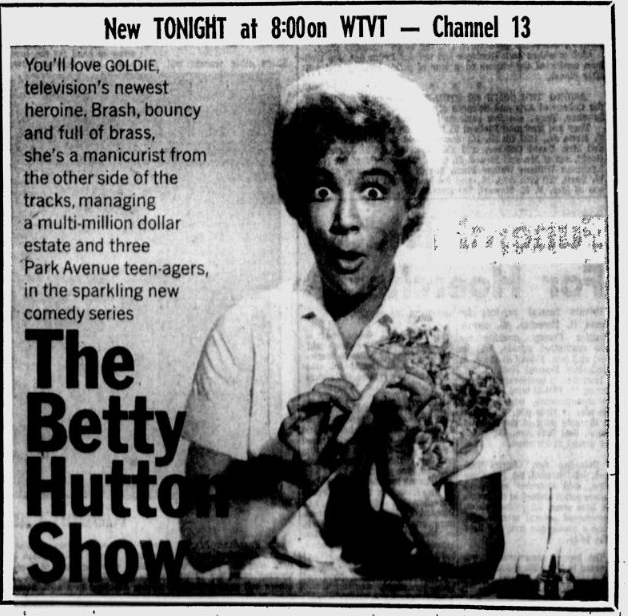 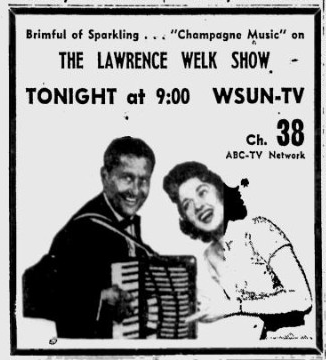 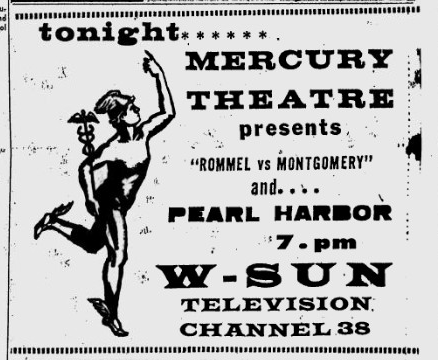 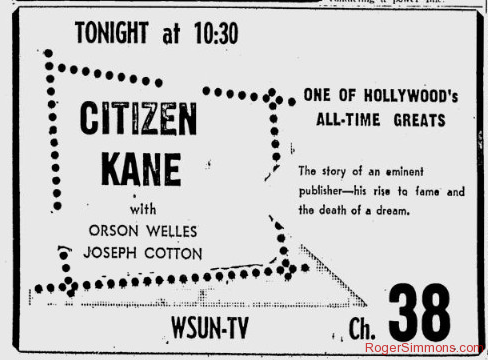 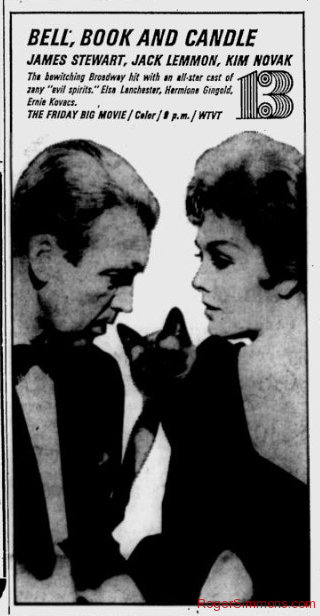 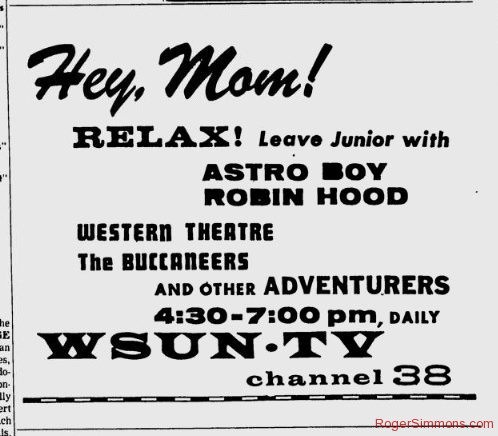 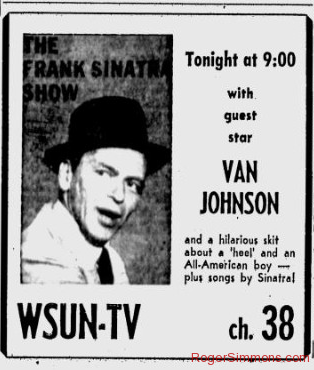 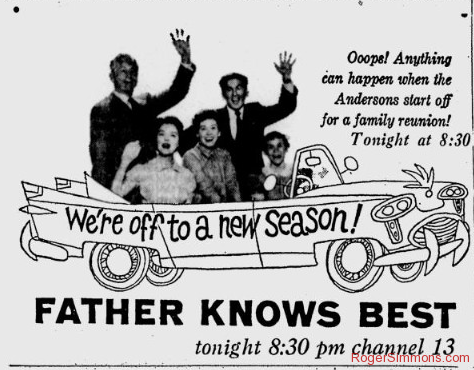 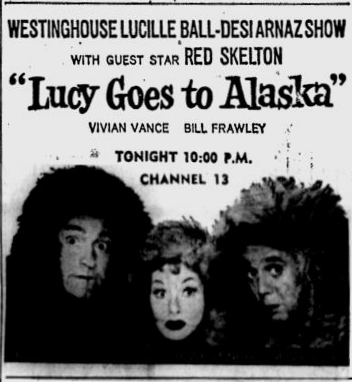 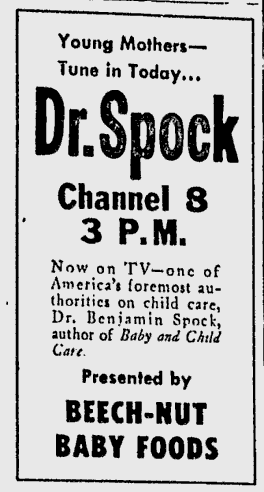 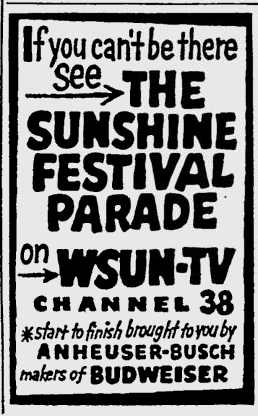 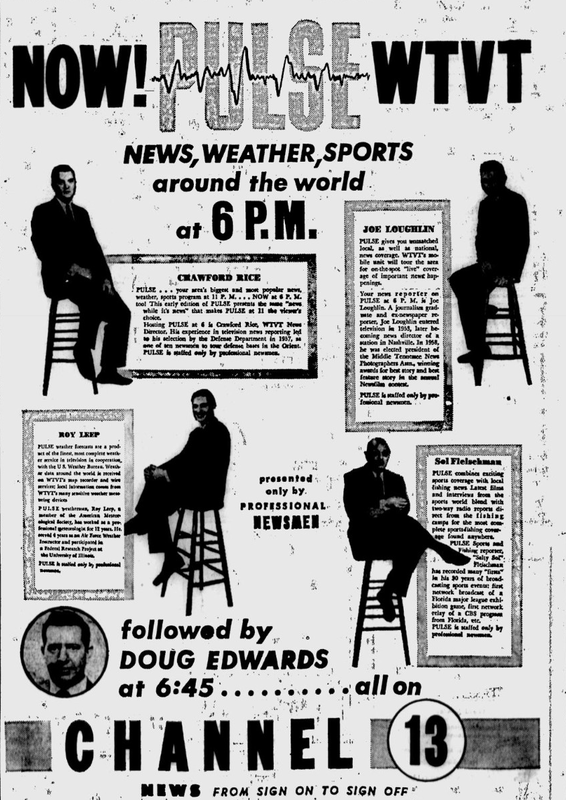 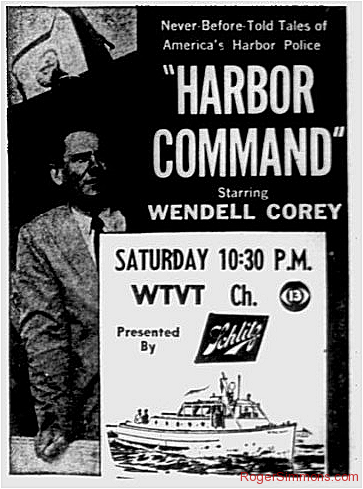 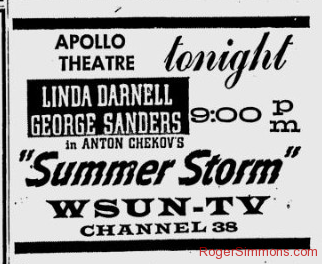 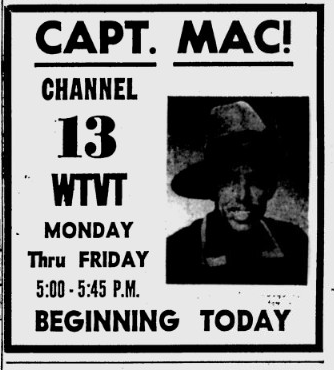 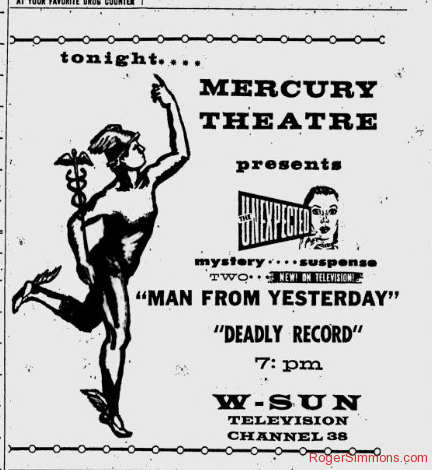 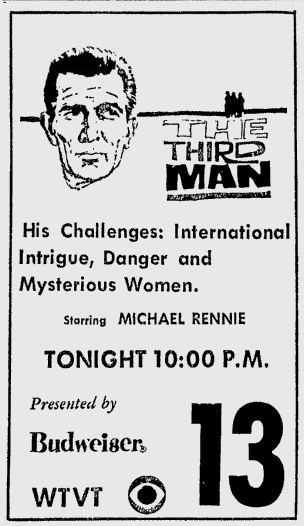 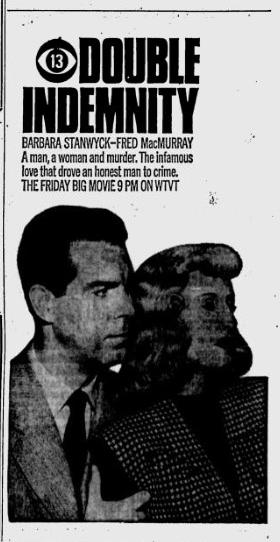 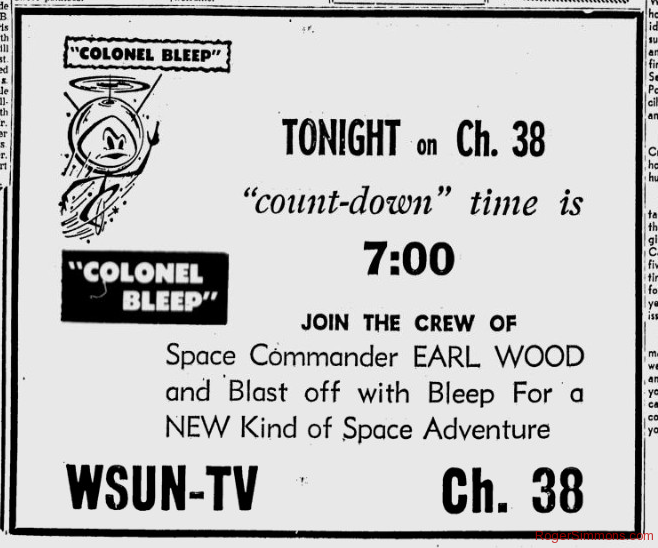 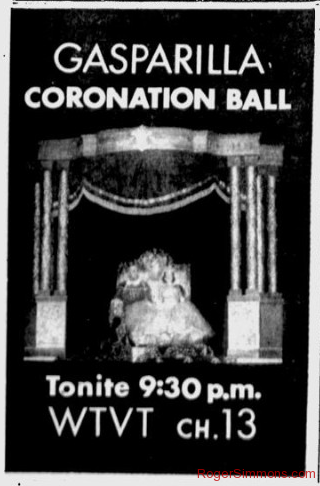 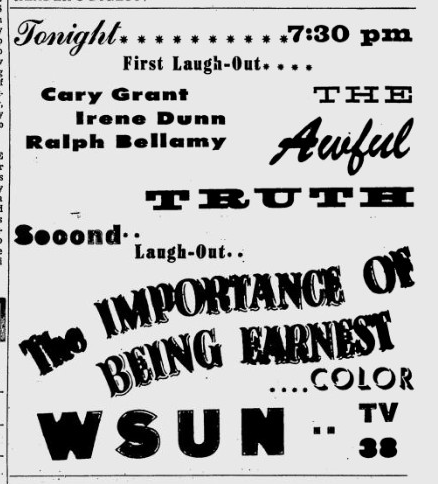 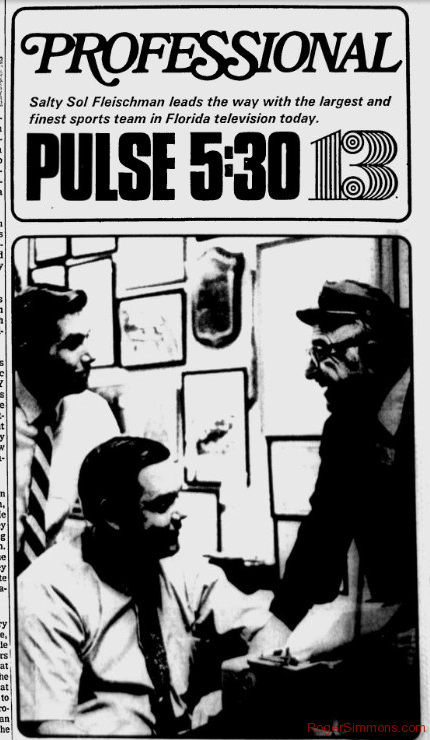 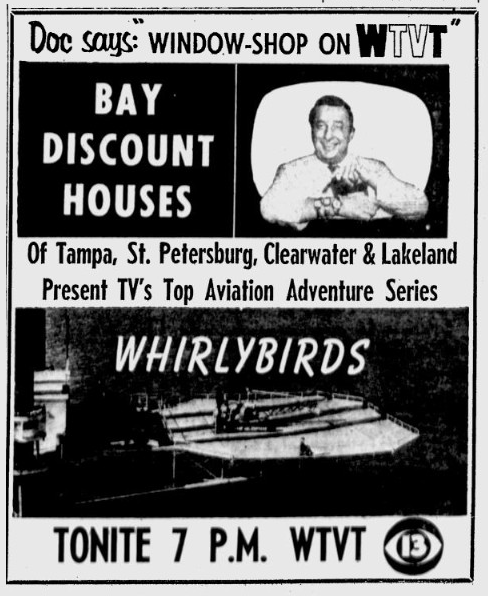 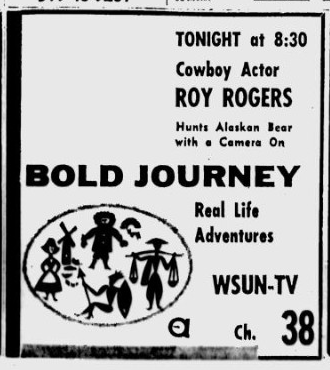 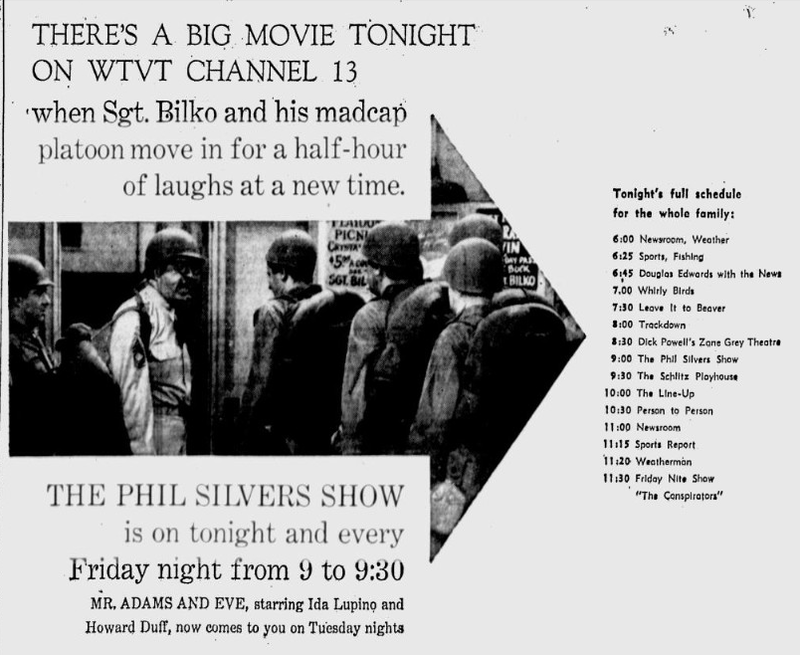 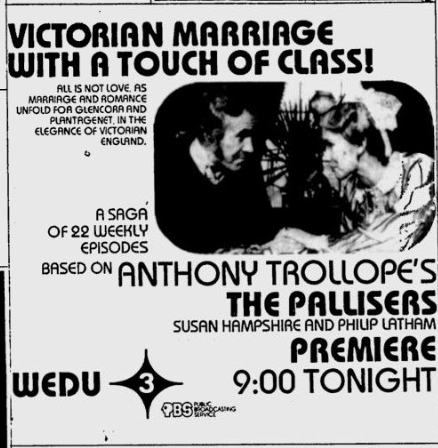 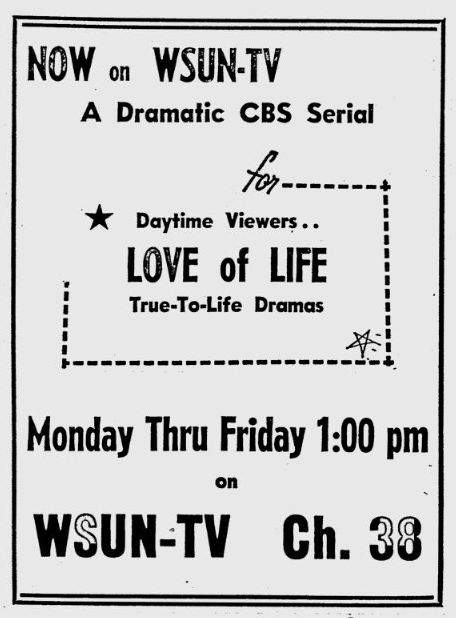 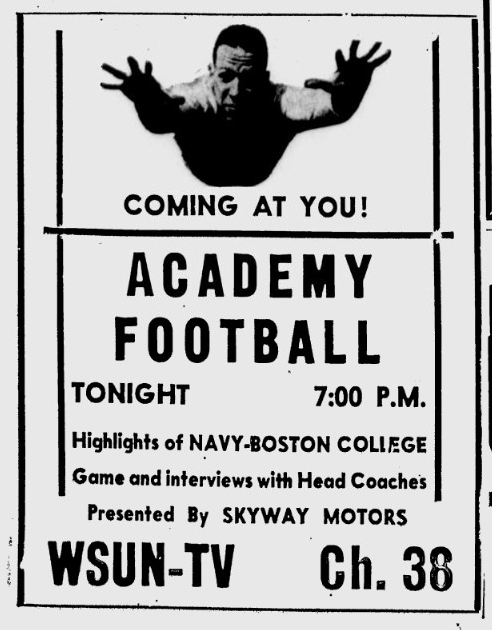 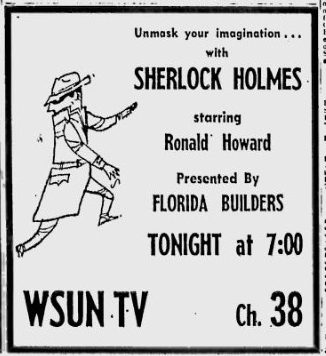 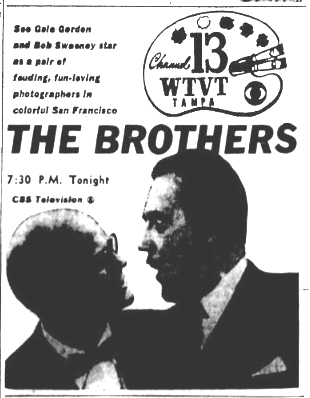 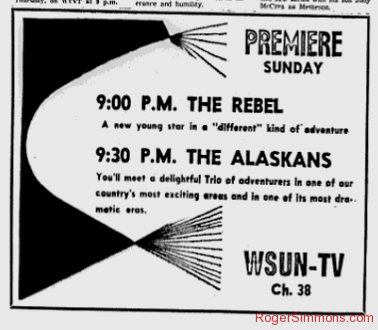 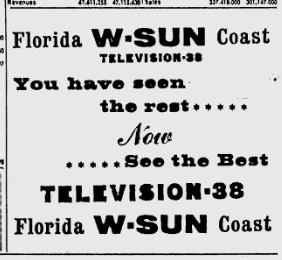 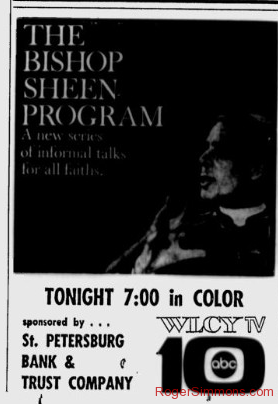 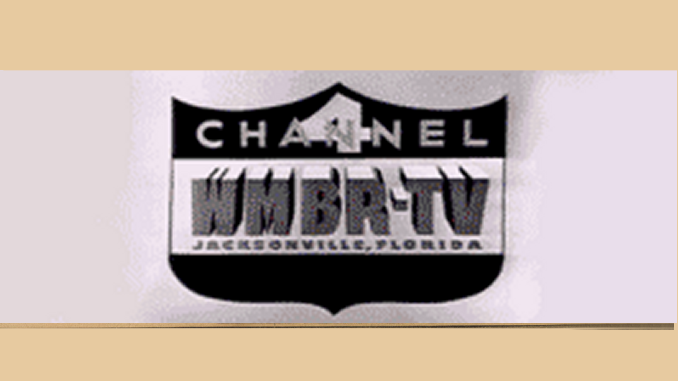 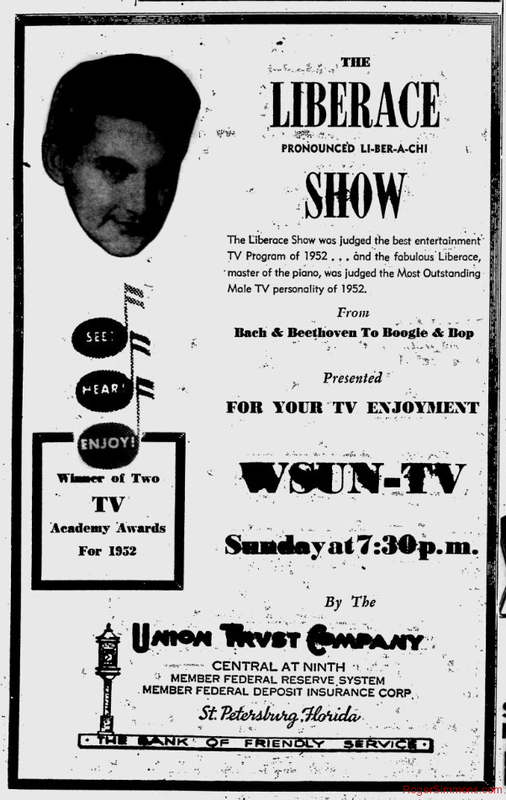 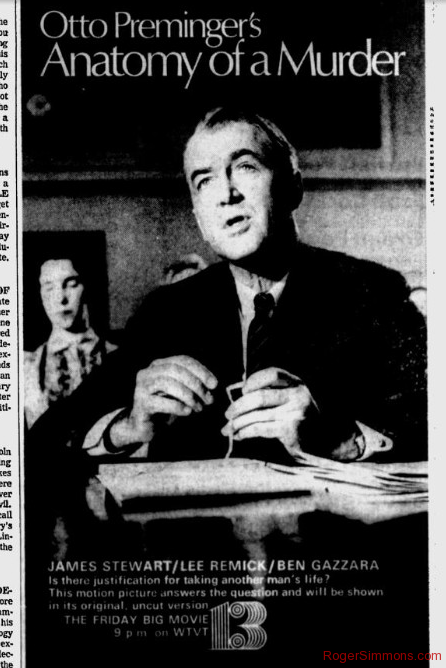 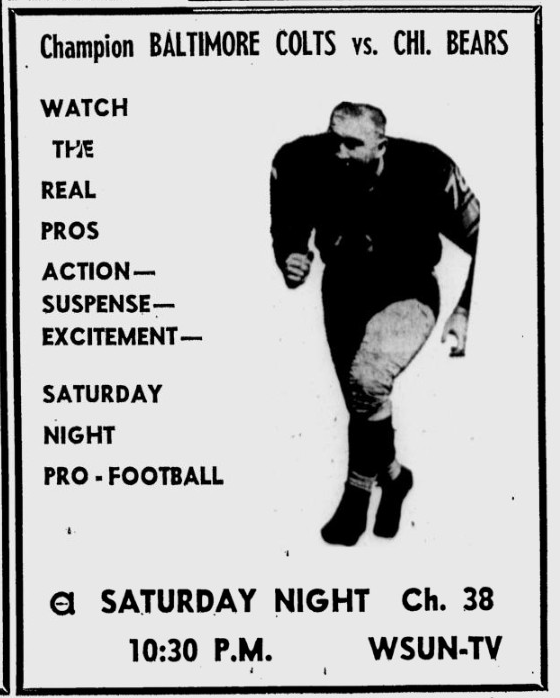 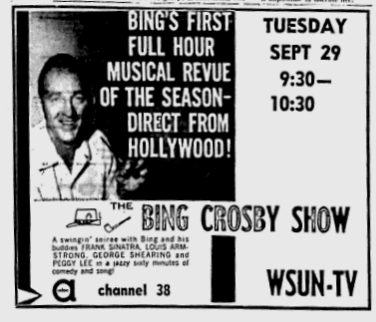 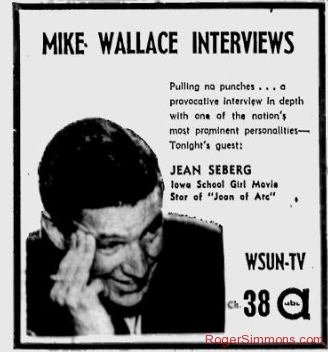 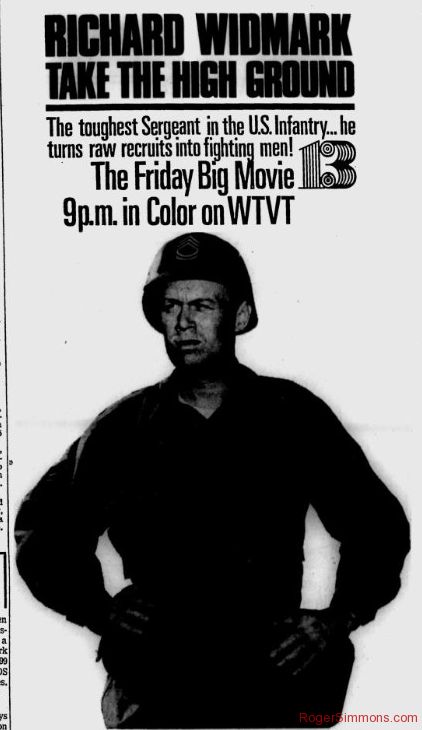 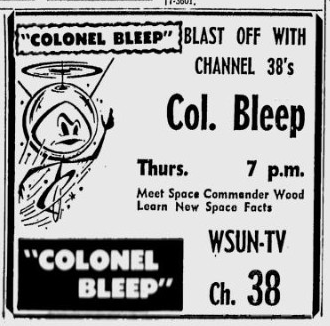 WSUN-TV Channel 38 called St. Petersburg its home when it signed on the air on May 31, 1953. 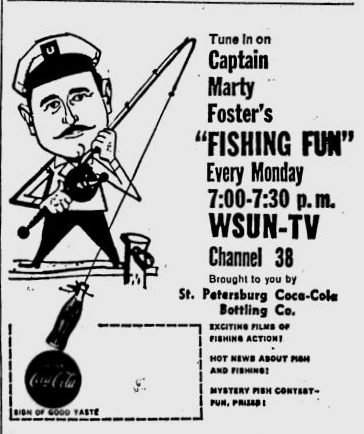 Second, who ever heard of a TV station broadcasting from a fishing pier? 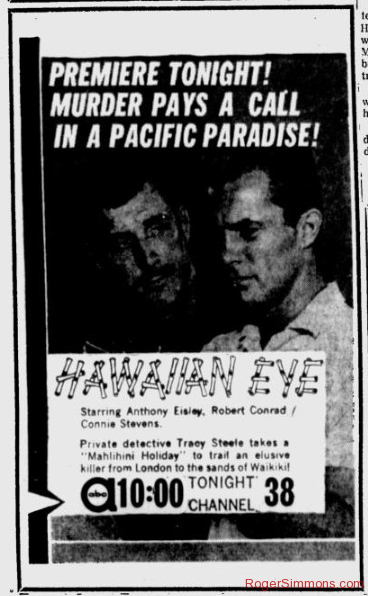 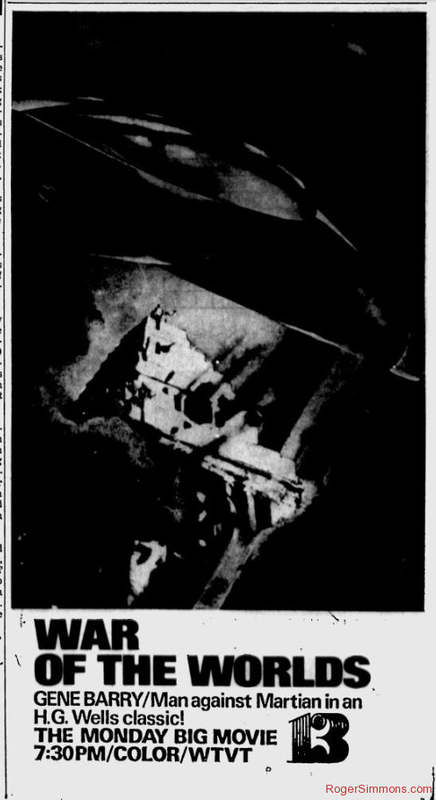 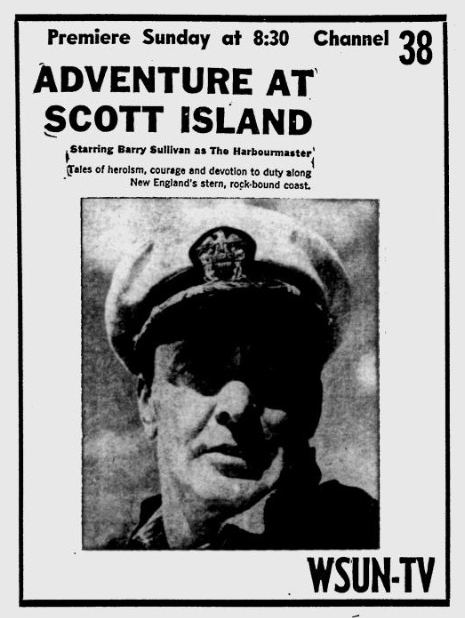 But that’s where WSUN’s studios were located — the St. Pete pier. 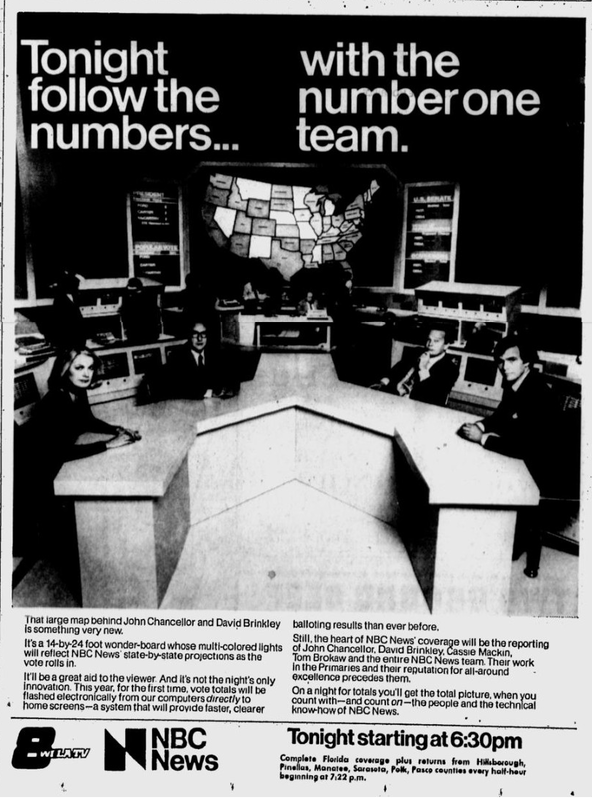 Third, TV was supposed be a private enterprise, right? 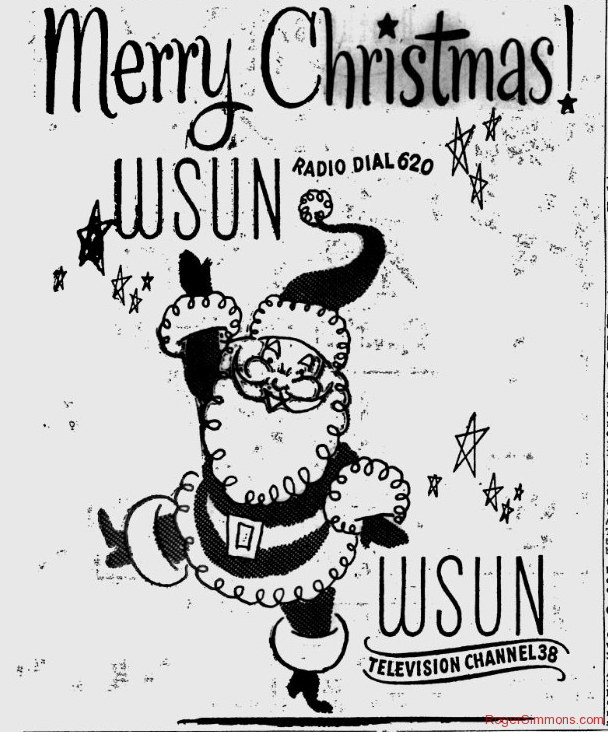 Not with WSUN. 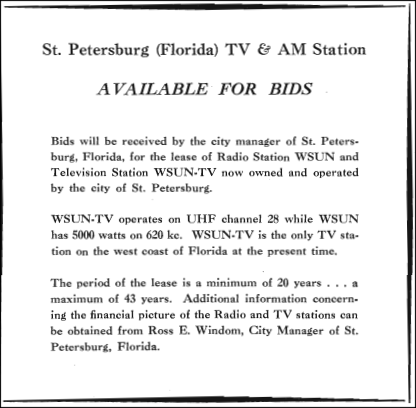 It was owned by the City of St. Petersburg. 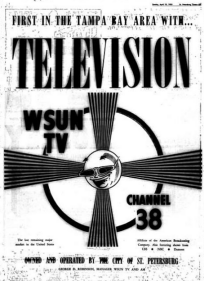 Like all of the early UHF stations, WSUN faced big obstacles — since most TV sets at the time couldn’t pick up UHF stations. 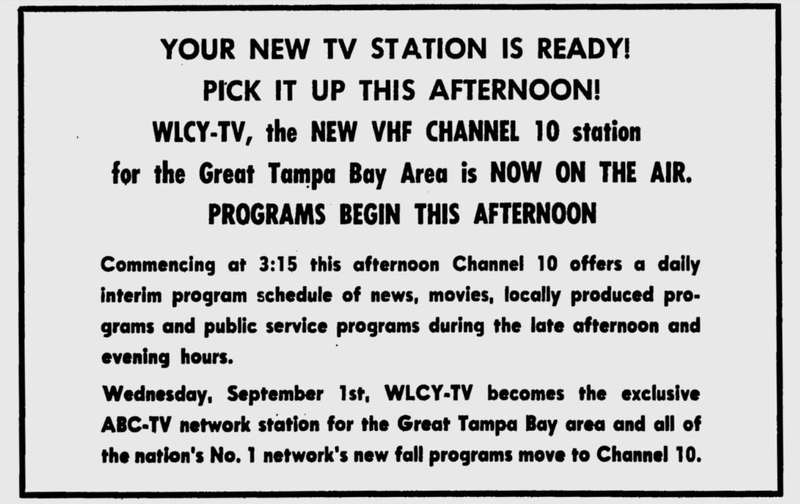 But even as Tampa added VHF stations WFLA-Channel 8 and WTVT-Channel 13, WSUN hung on as an ABC affiliate. 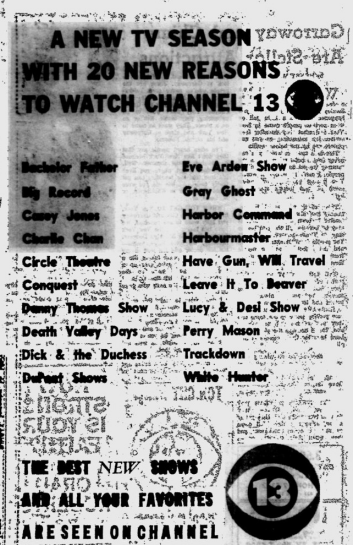 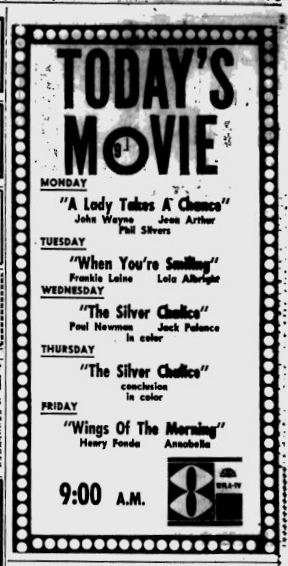 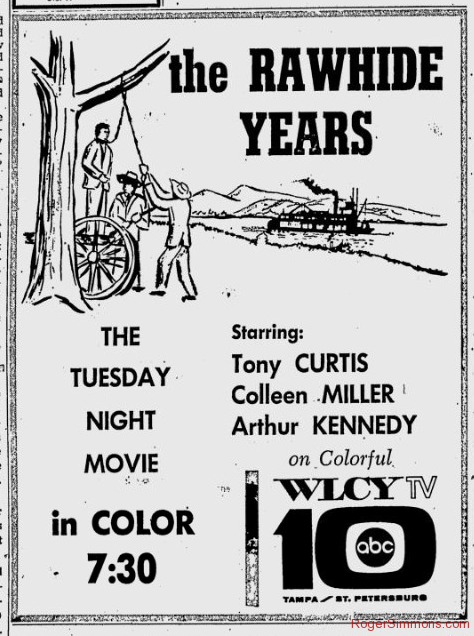 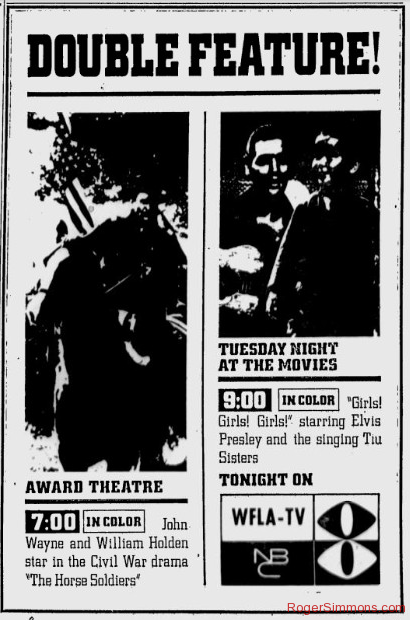 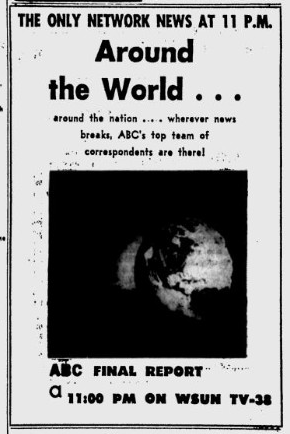 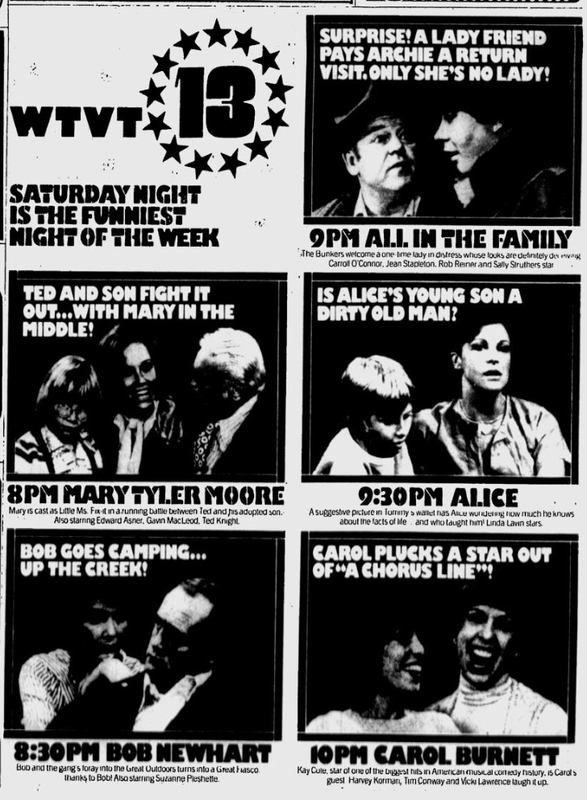 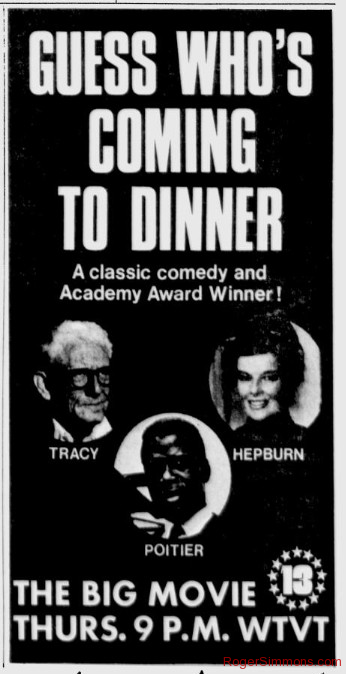 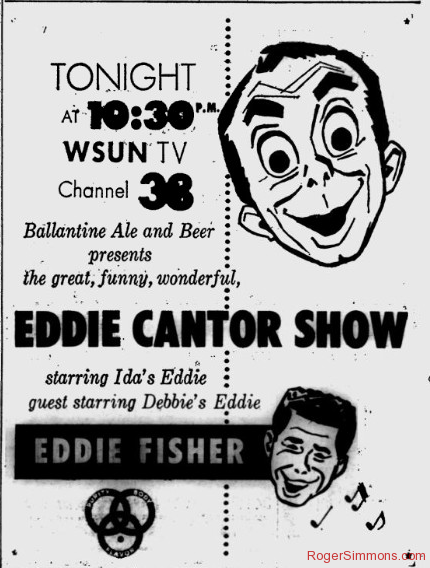 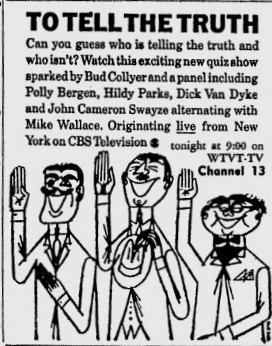 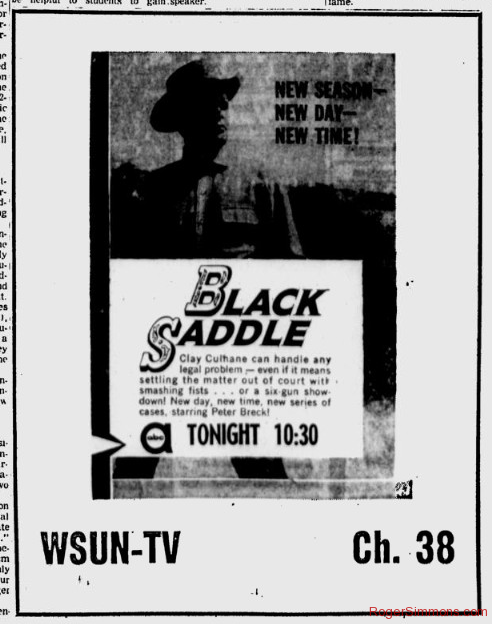 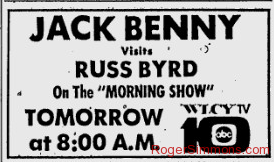 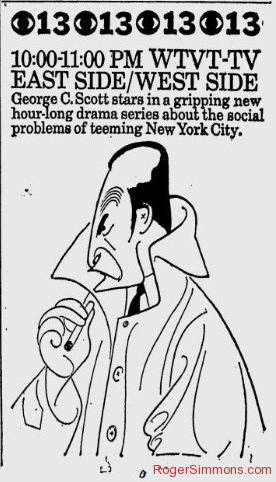 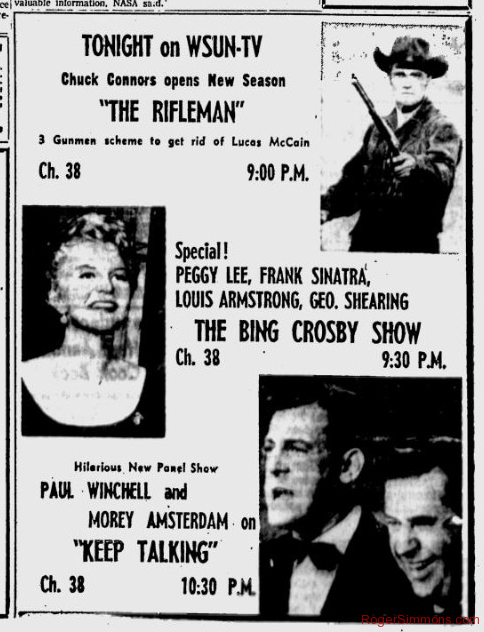 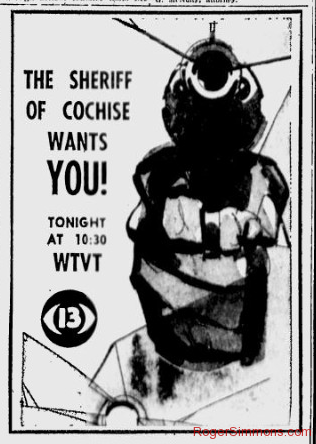 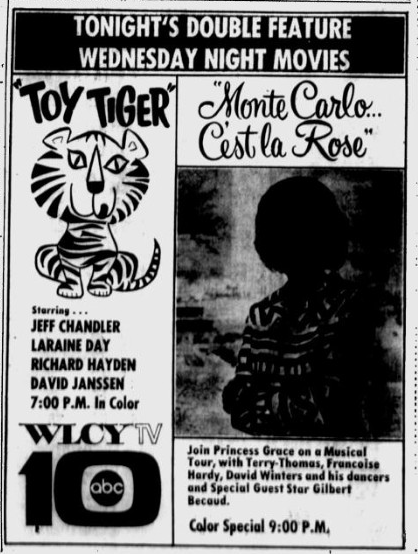 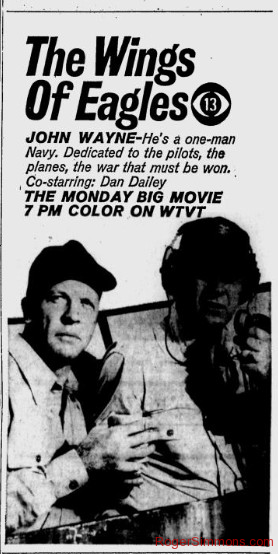 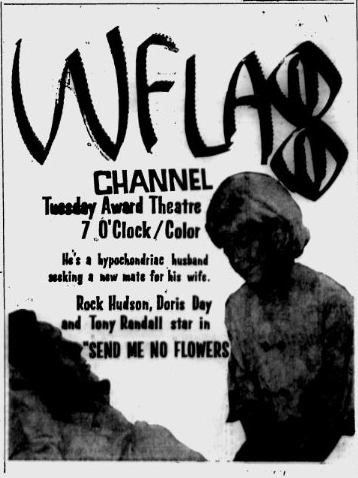 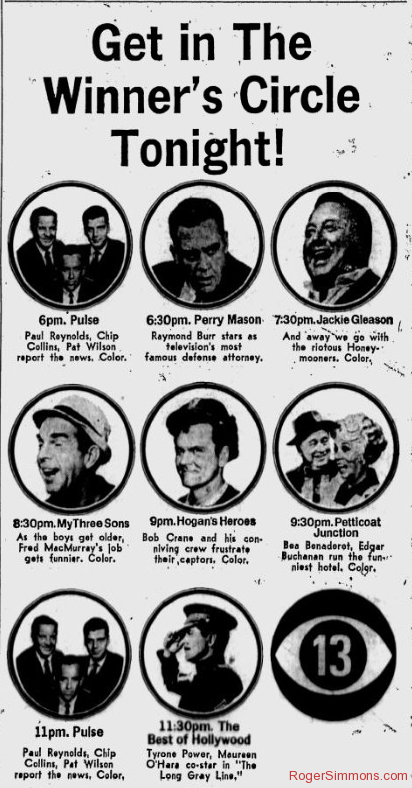 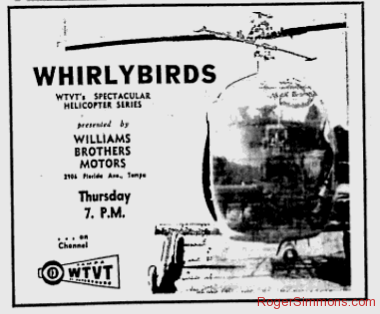 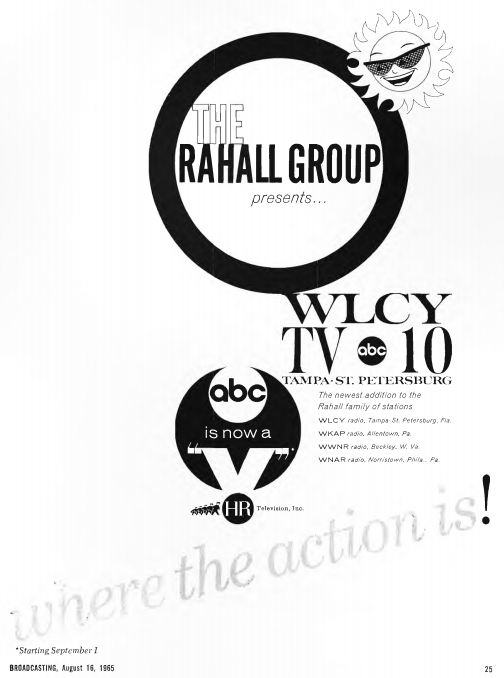 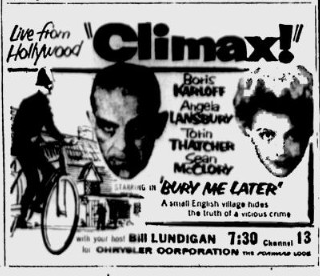 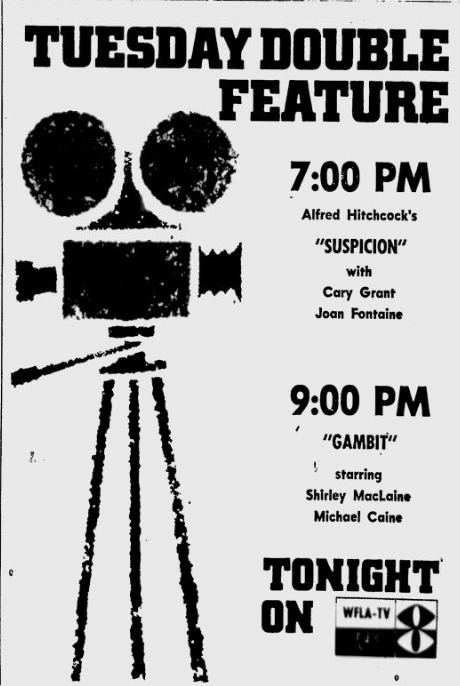 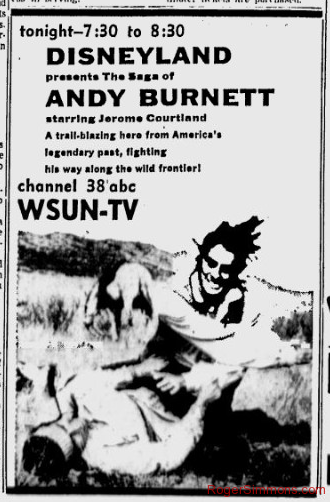 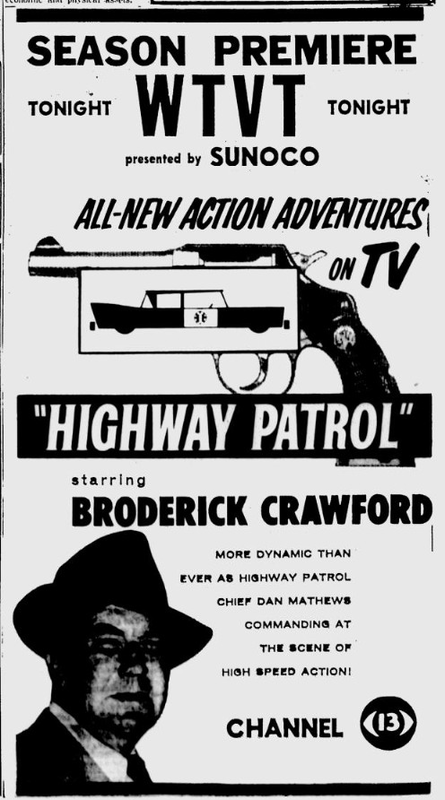 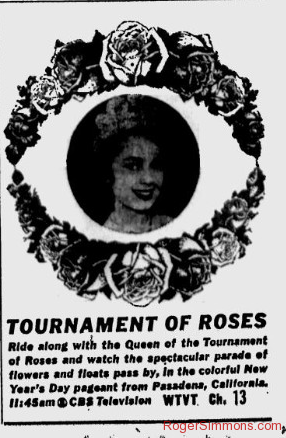 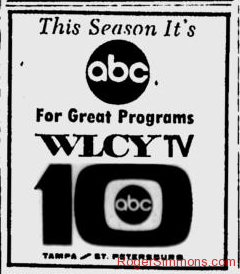 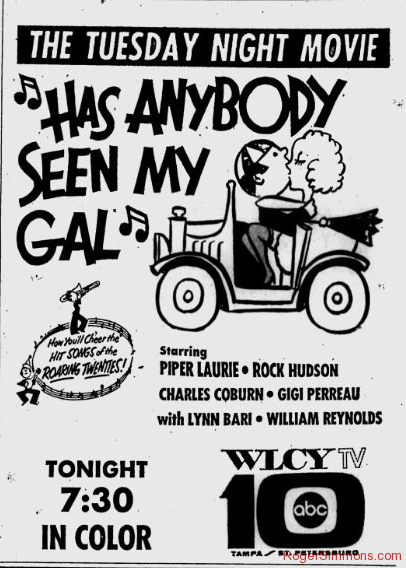 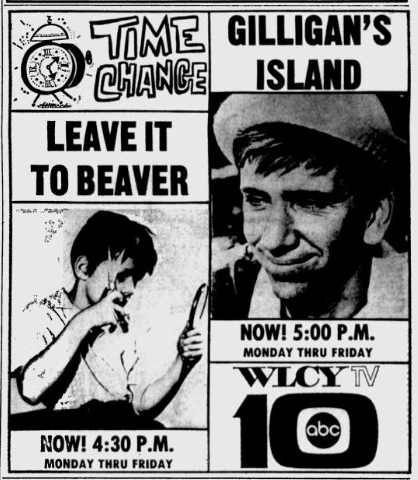 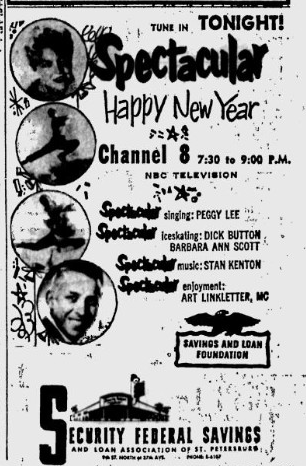 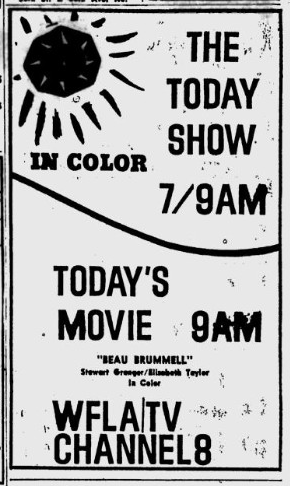 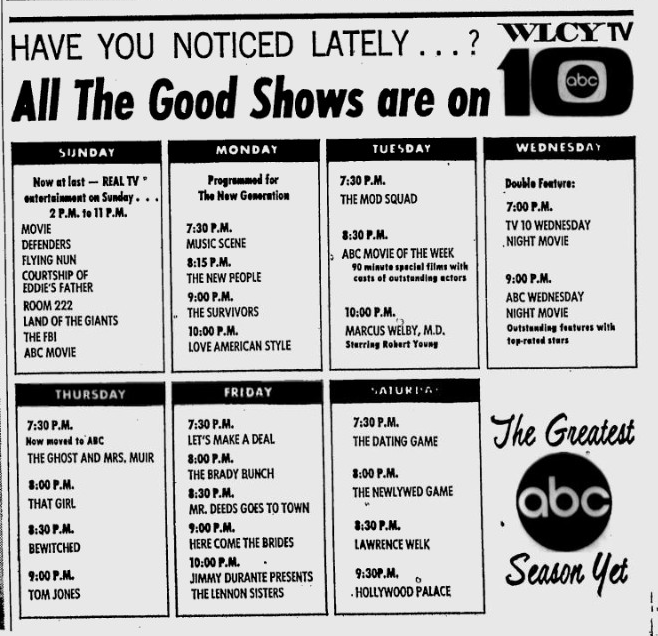 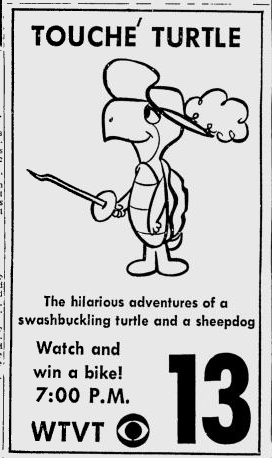 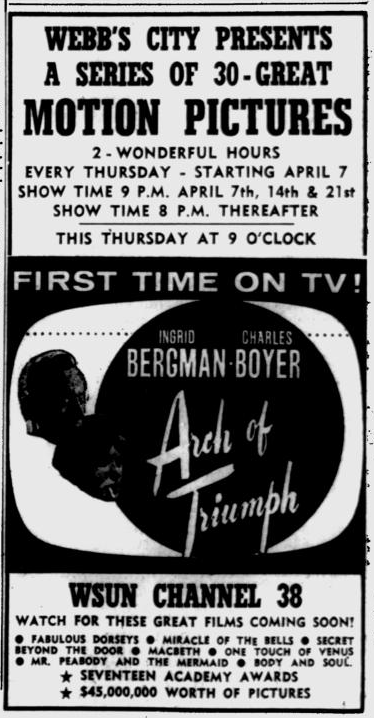 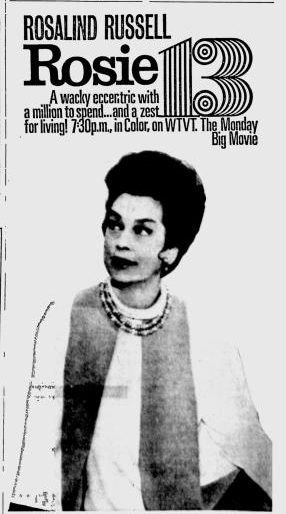 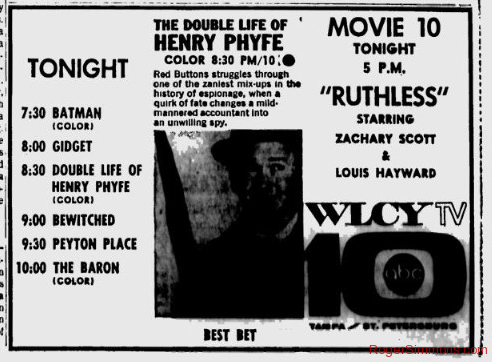 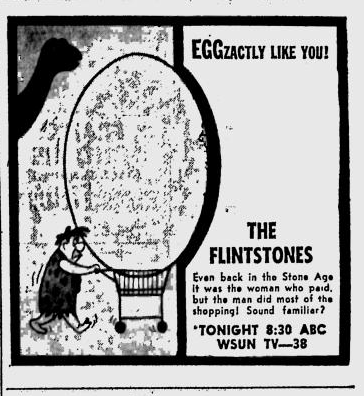 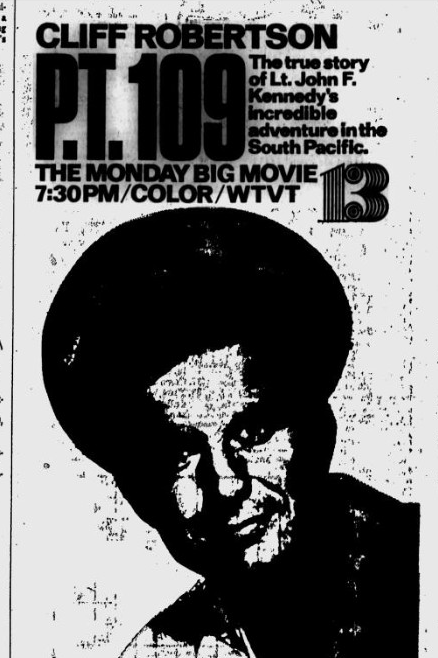 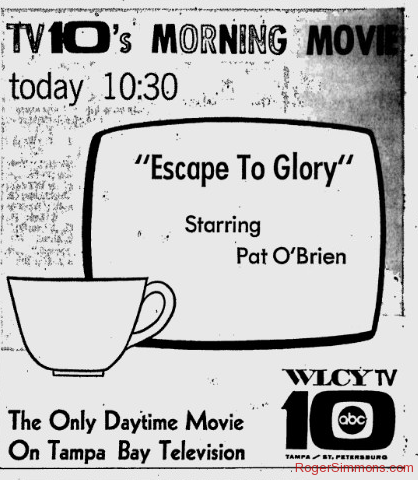 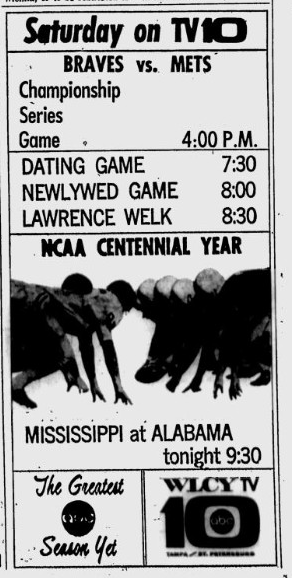 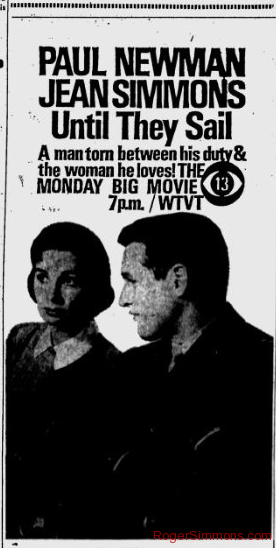 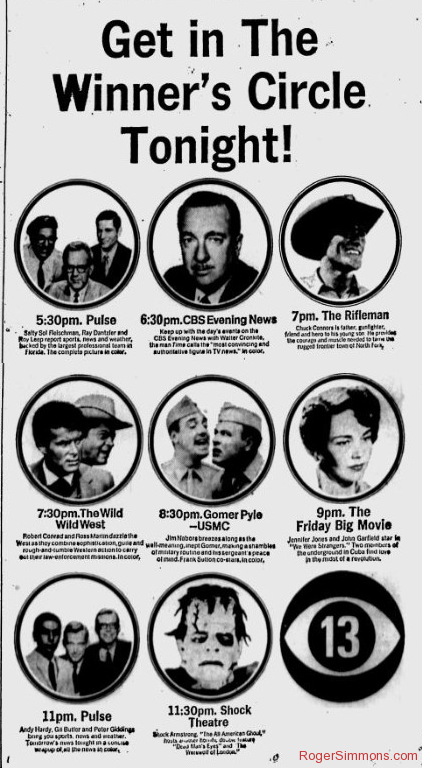 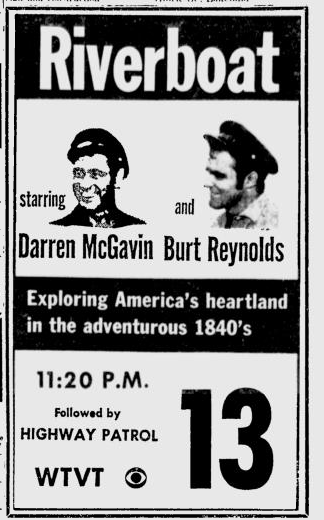 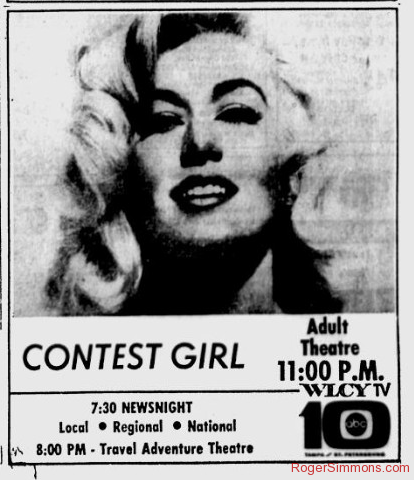 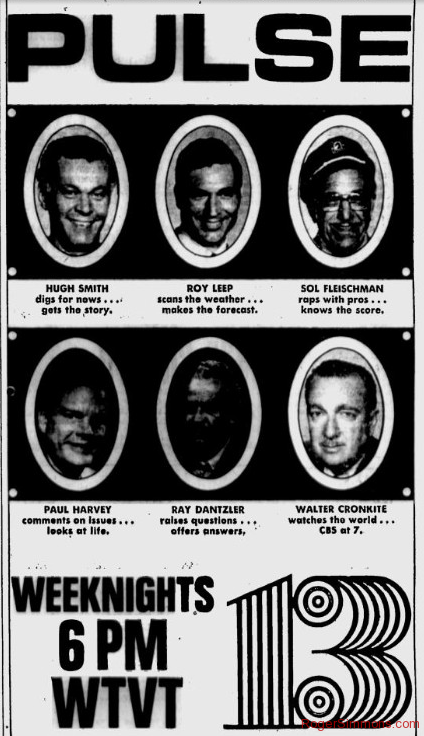 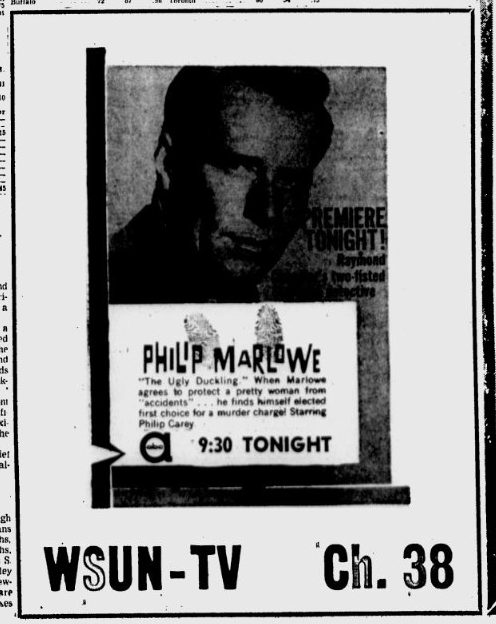 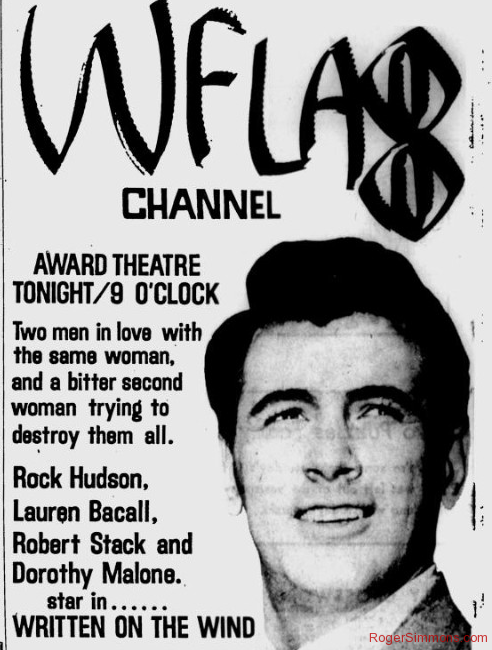 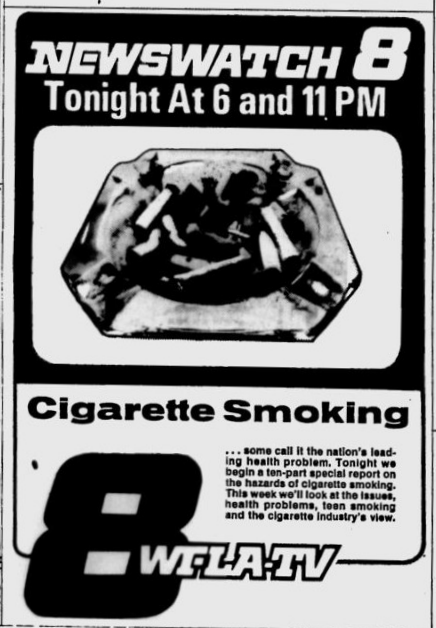 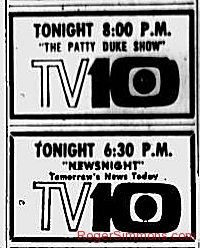 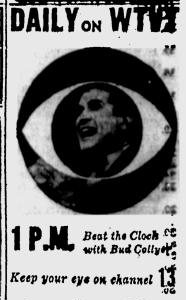 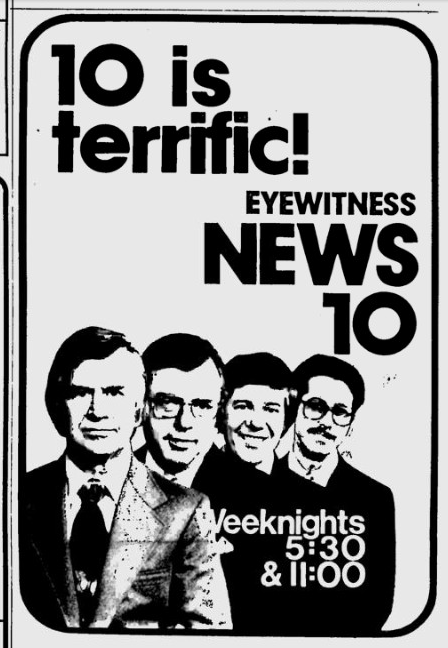 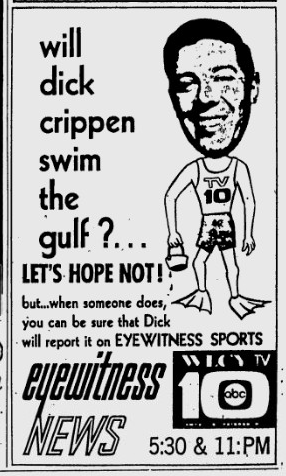 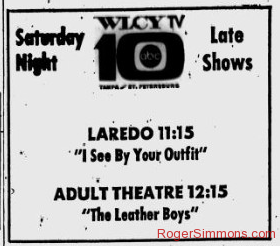 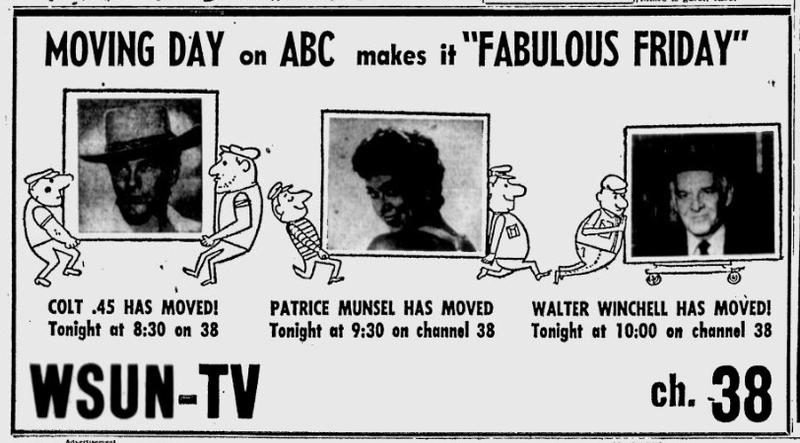 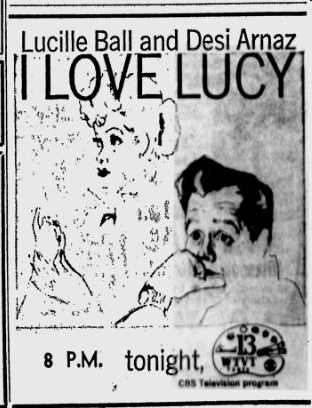 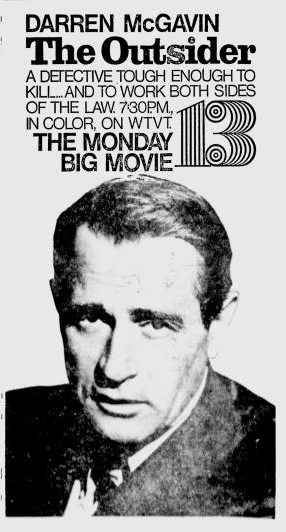 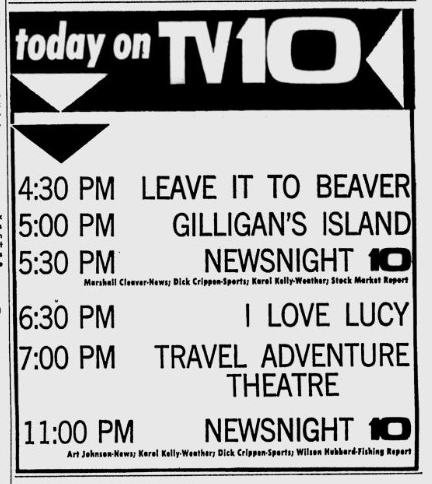 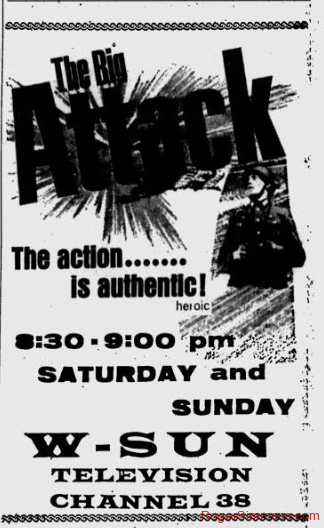 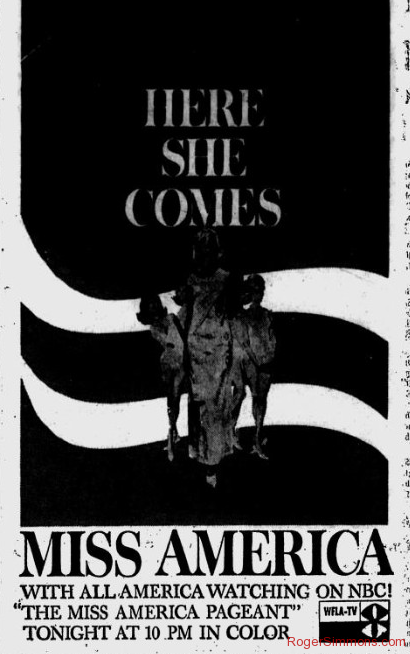 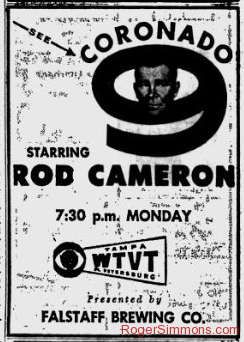 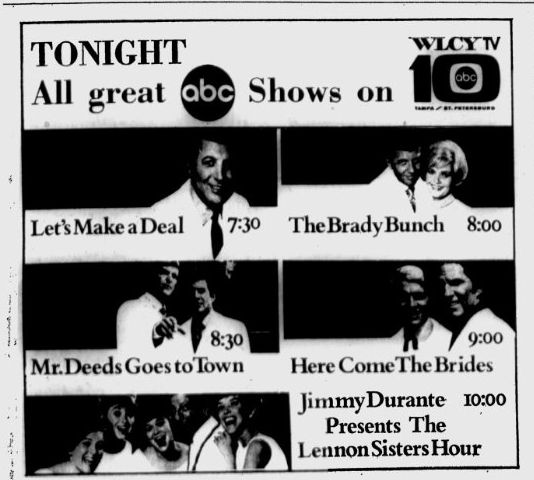 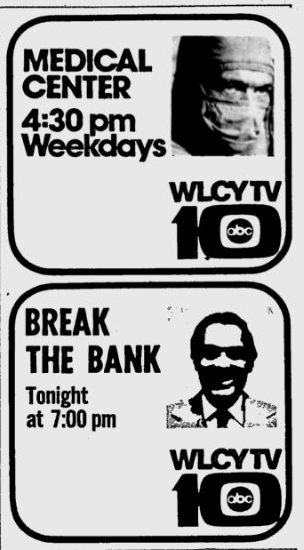 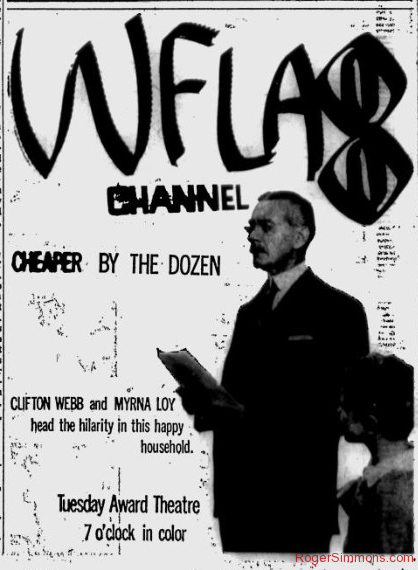 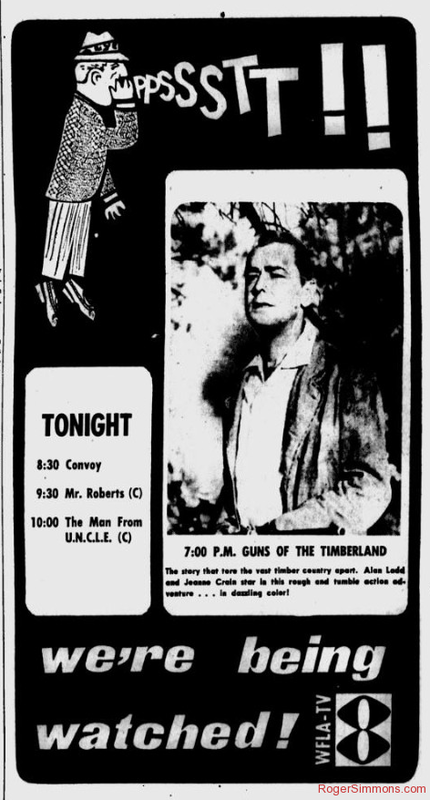 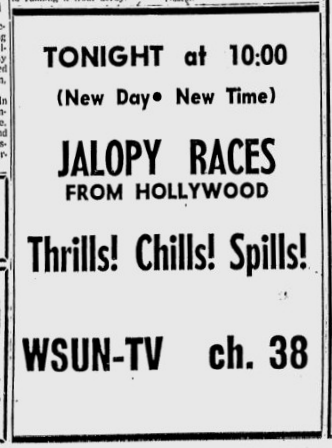 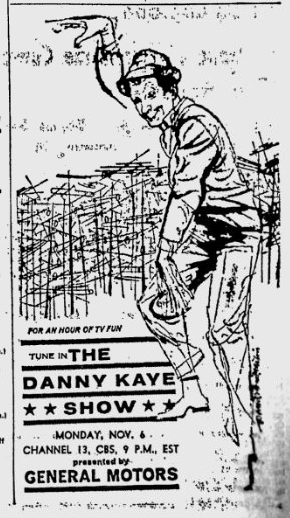 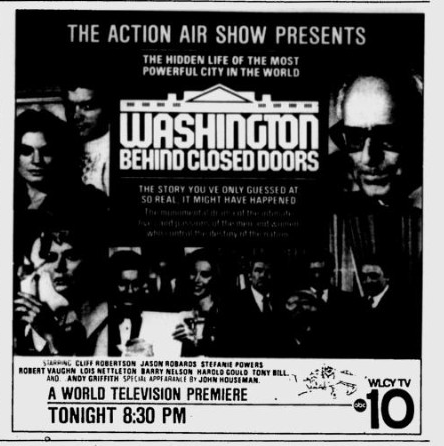 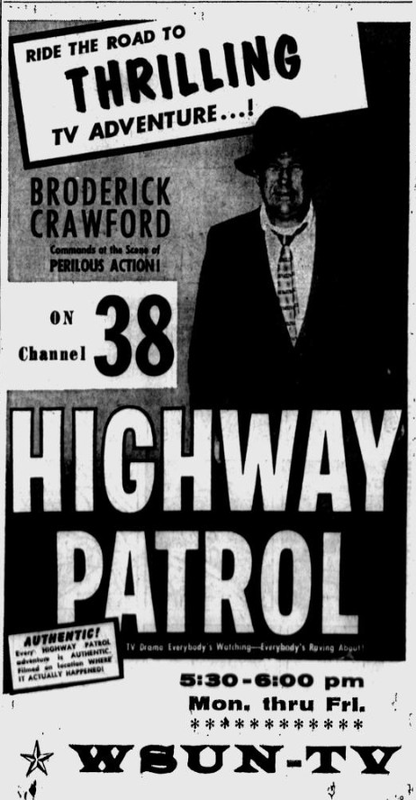 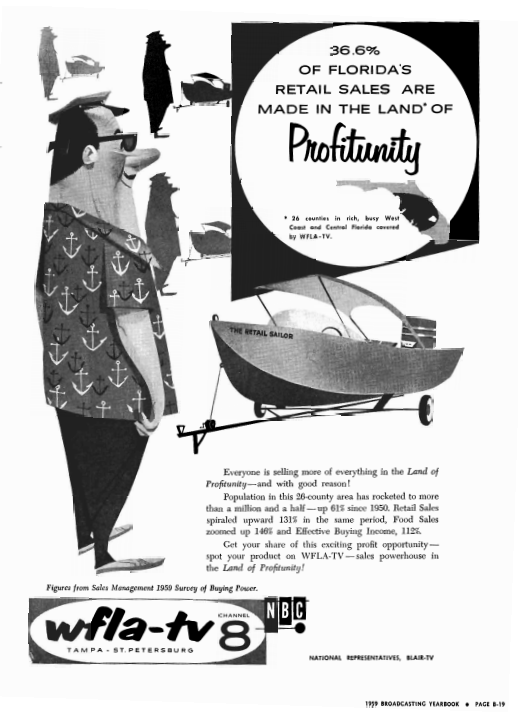 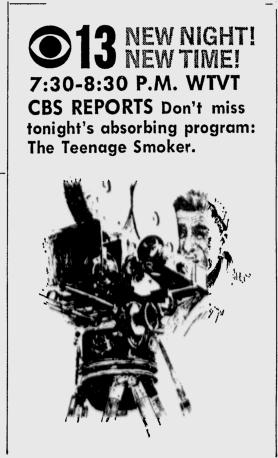 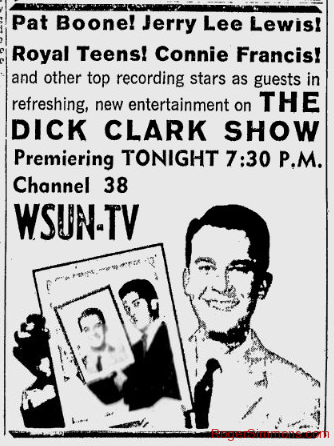 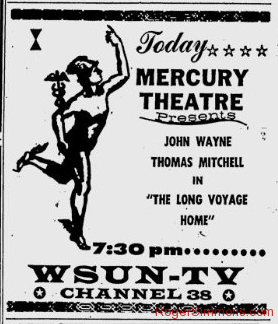 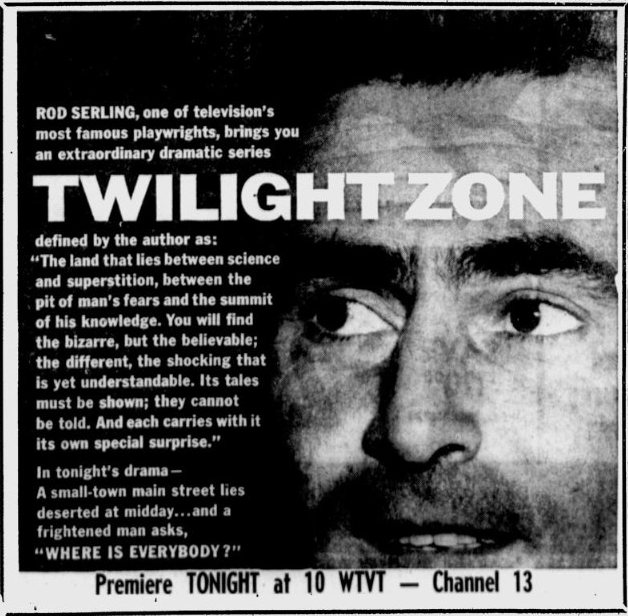 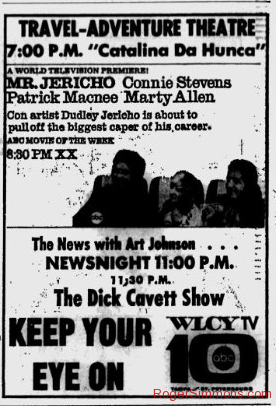 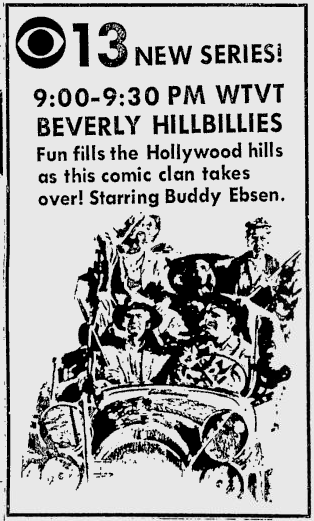 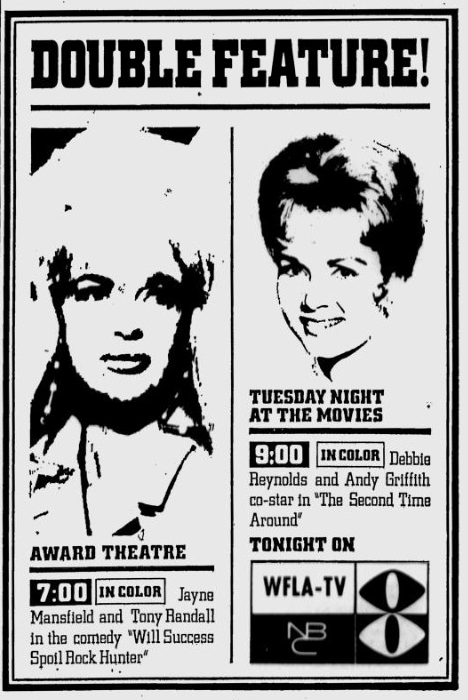 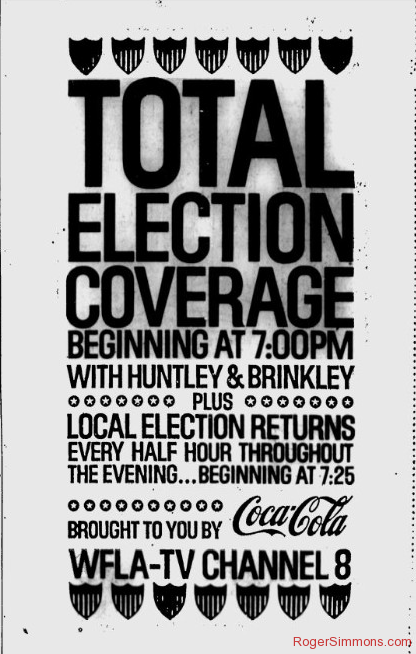 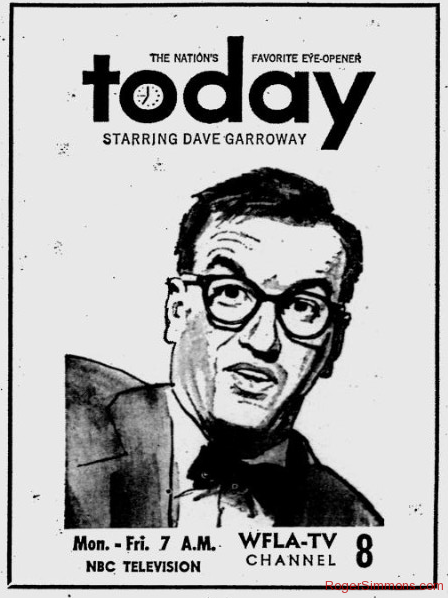 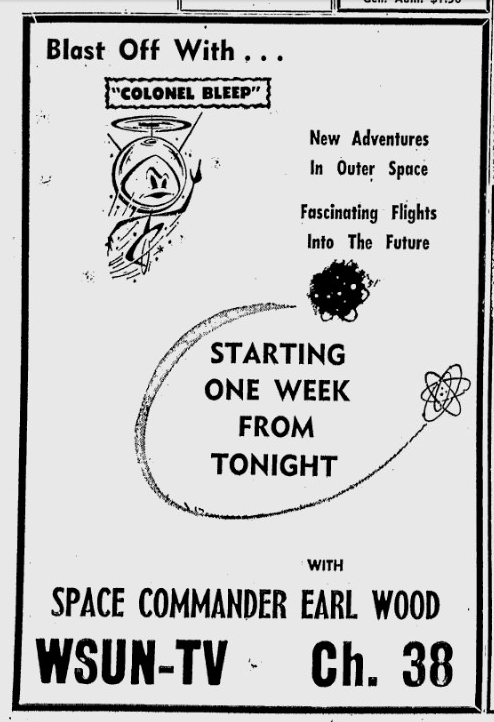 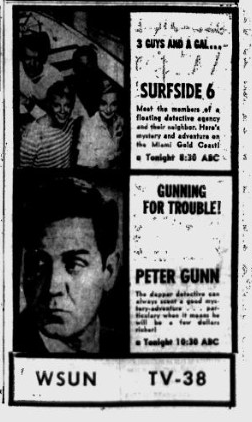 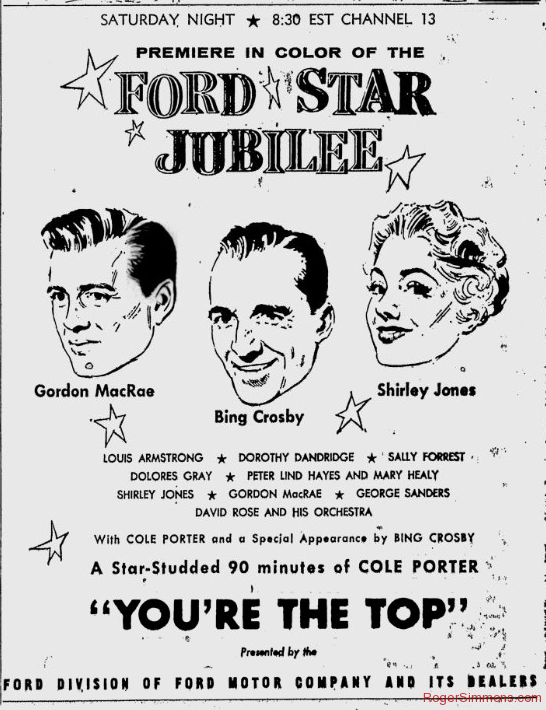 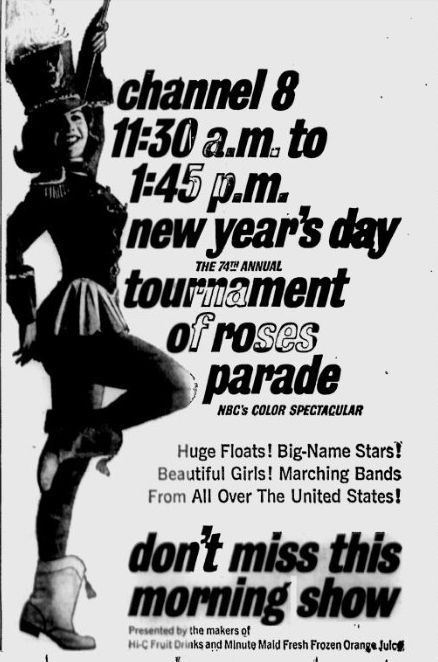 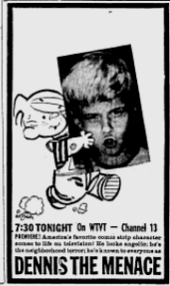 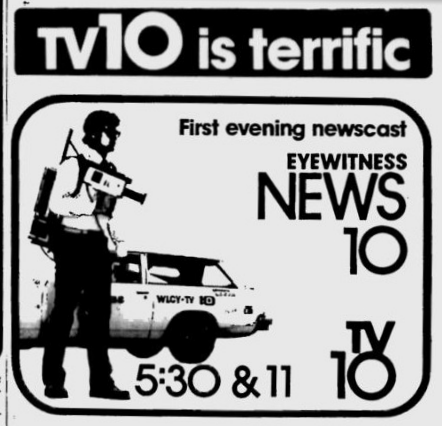 That changed in 1965 when WLCY-Channel 10 arrived and took over as the local source of ABC shows. 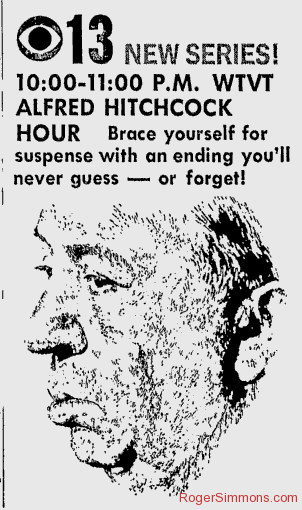 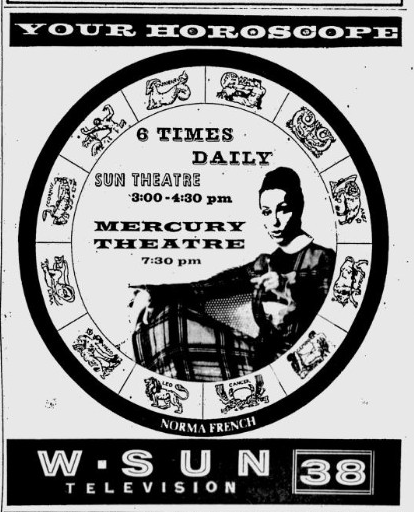 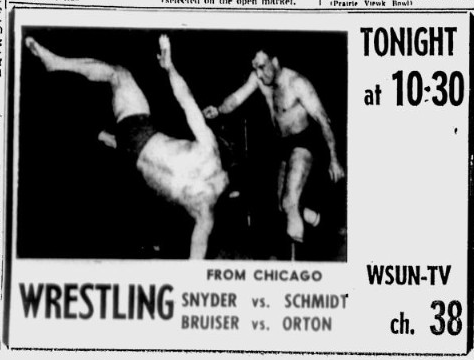 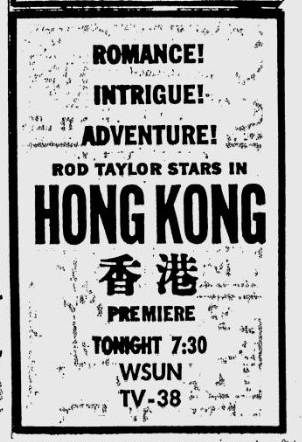 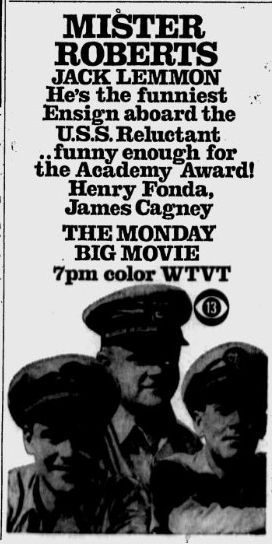 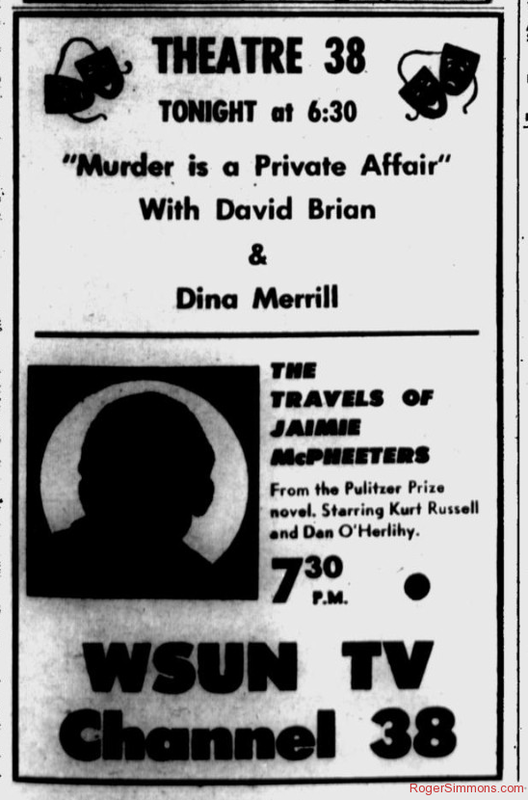 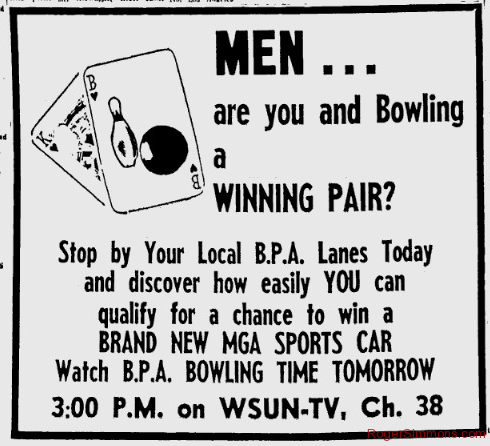 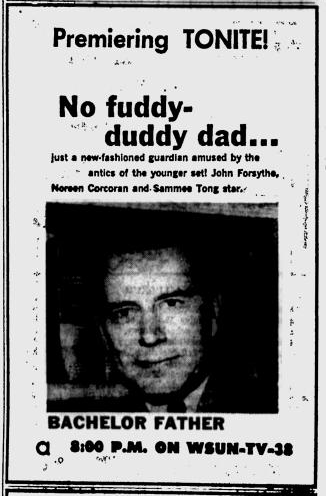 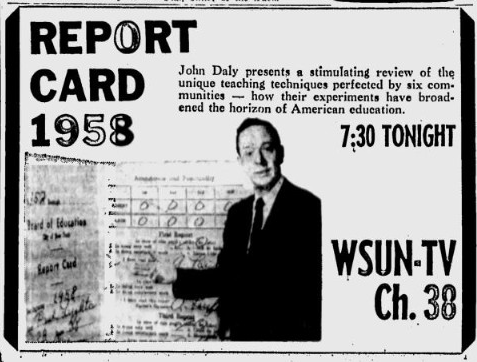 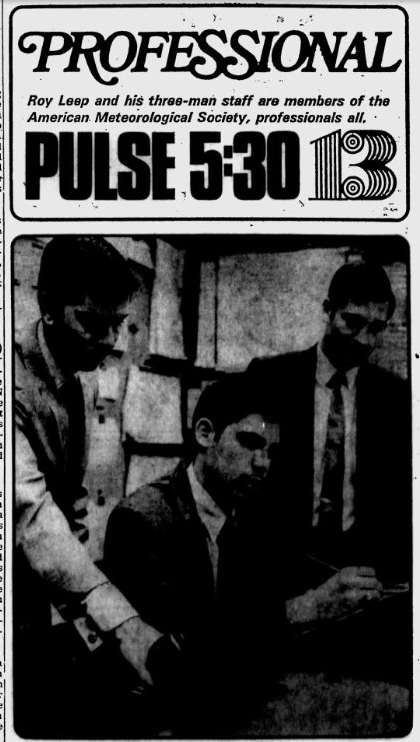 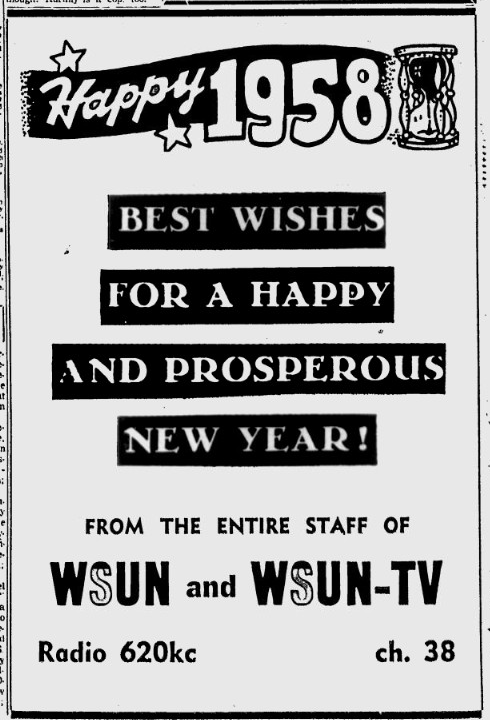 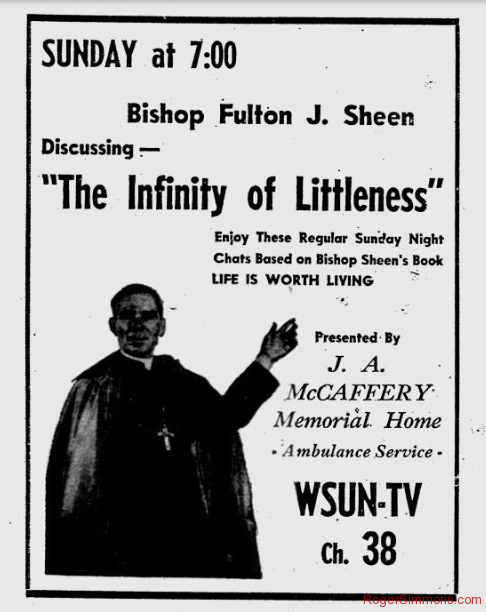 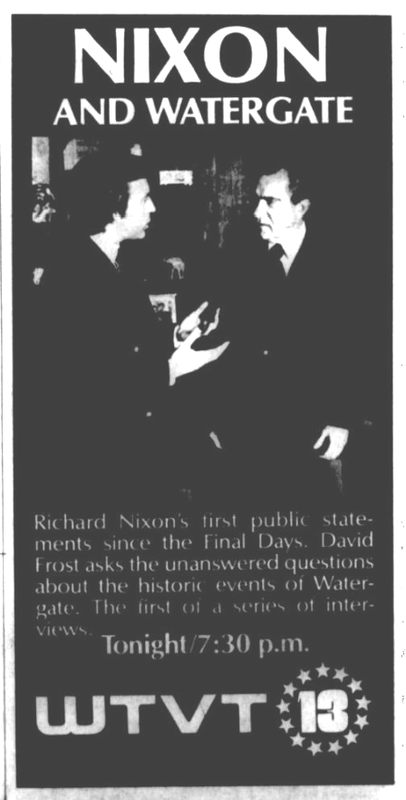 WSUN would hang on as an independent station for another five years before finally signing off in 1970. 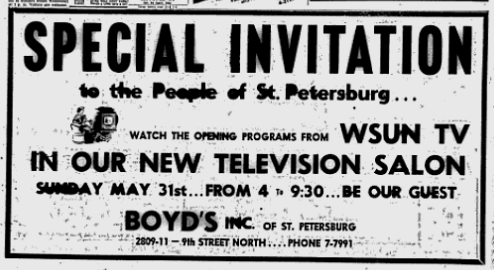 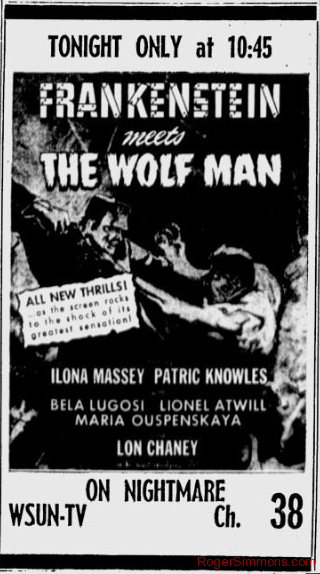 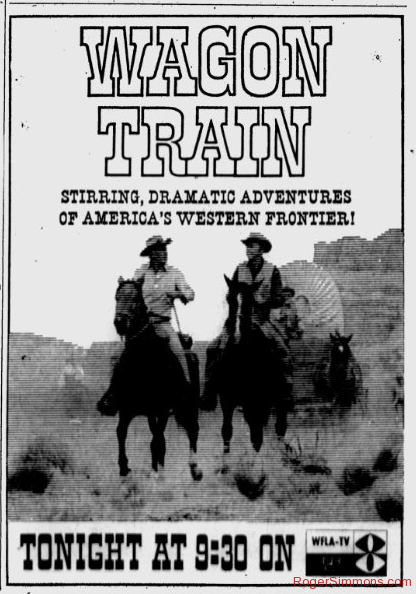 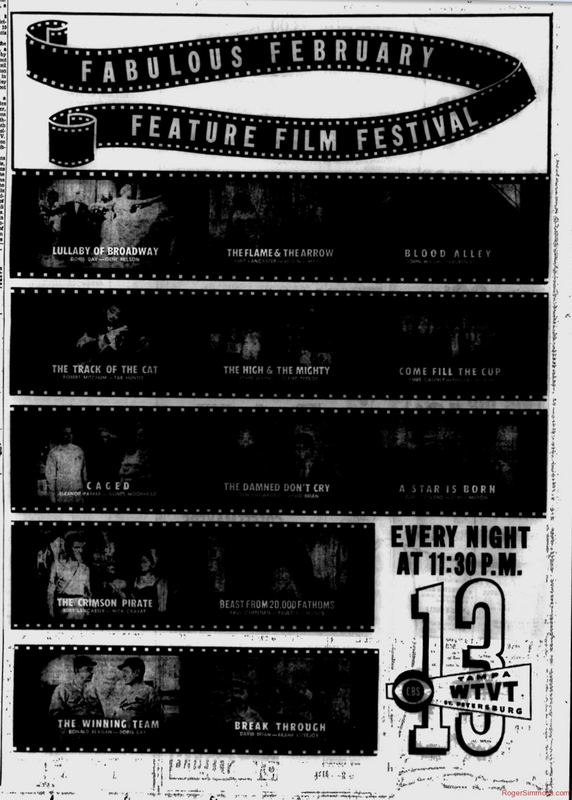 Click here for the St. Petersburg Times’ special section welcoming WSUN-TV.